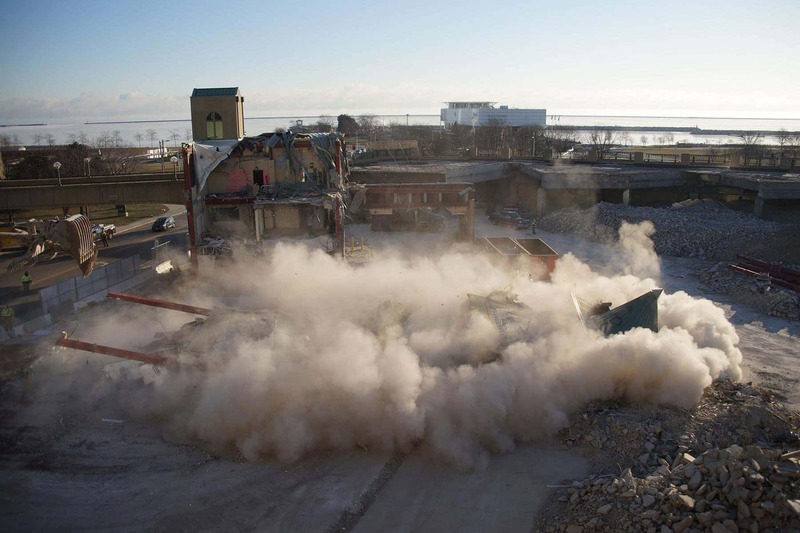 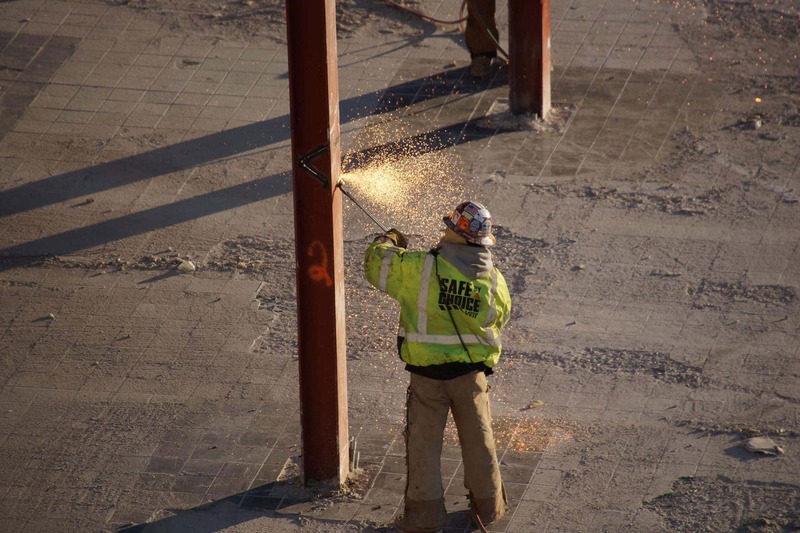 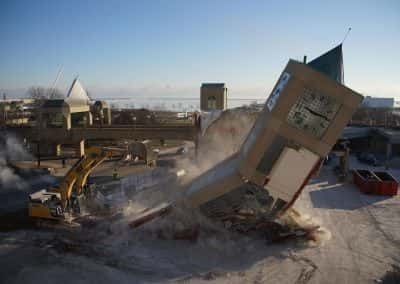 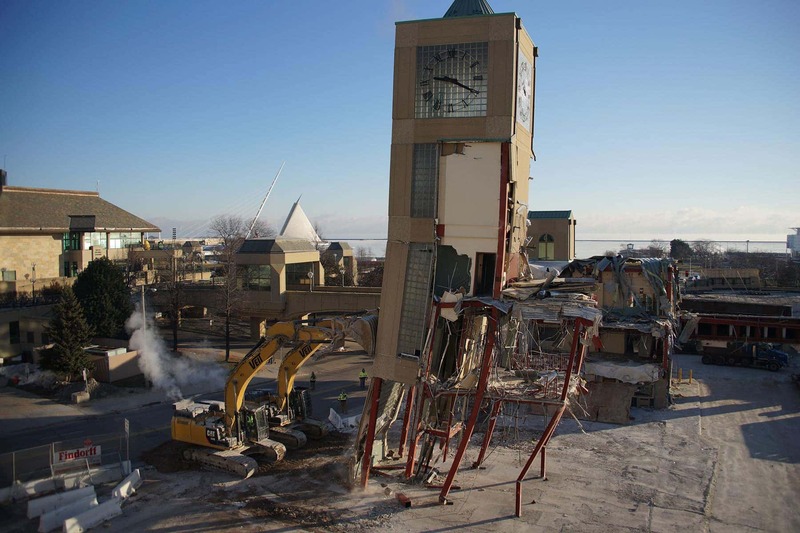 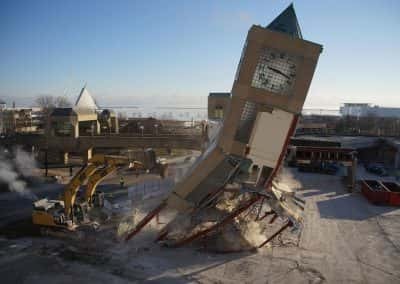 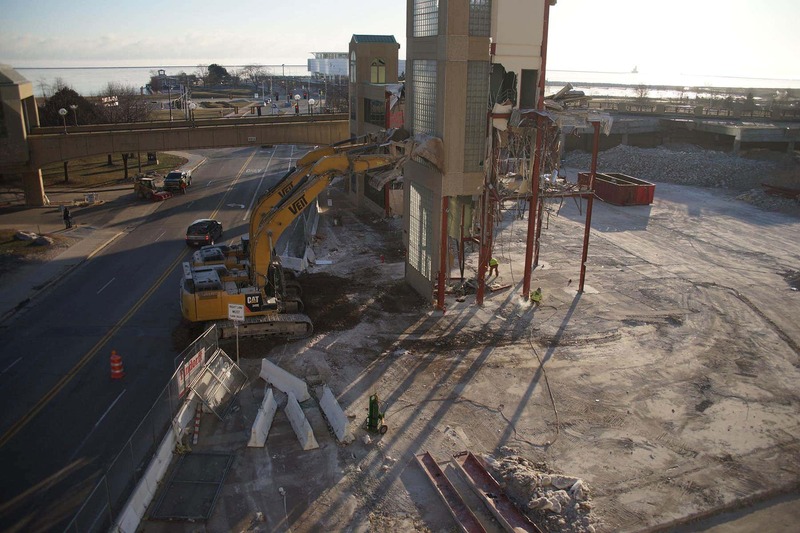 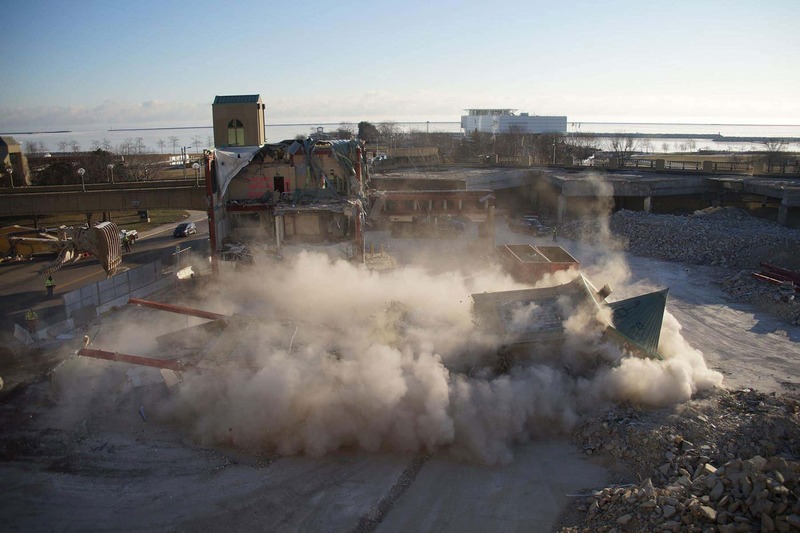 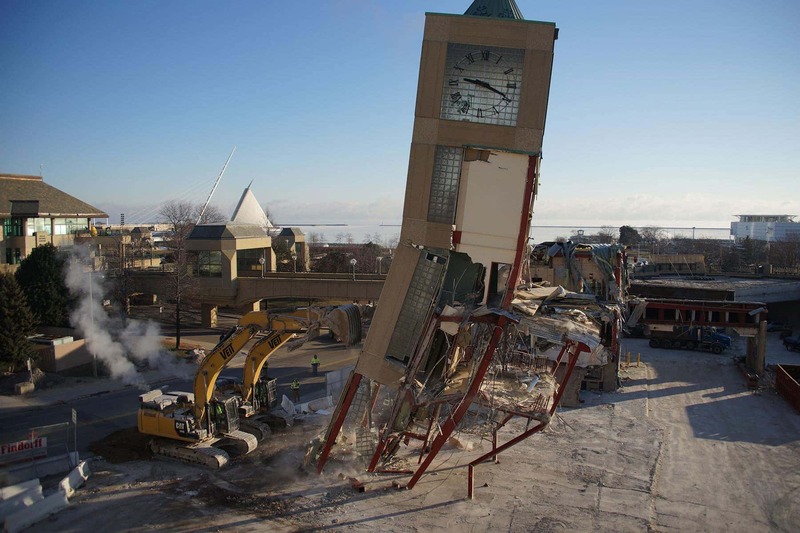 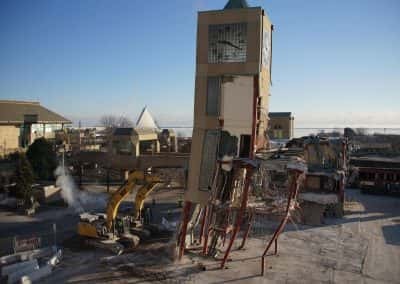 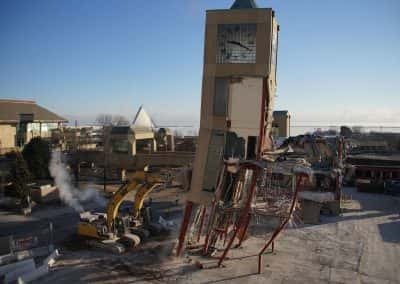 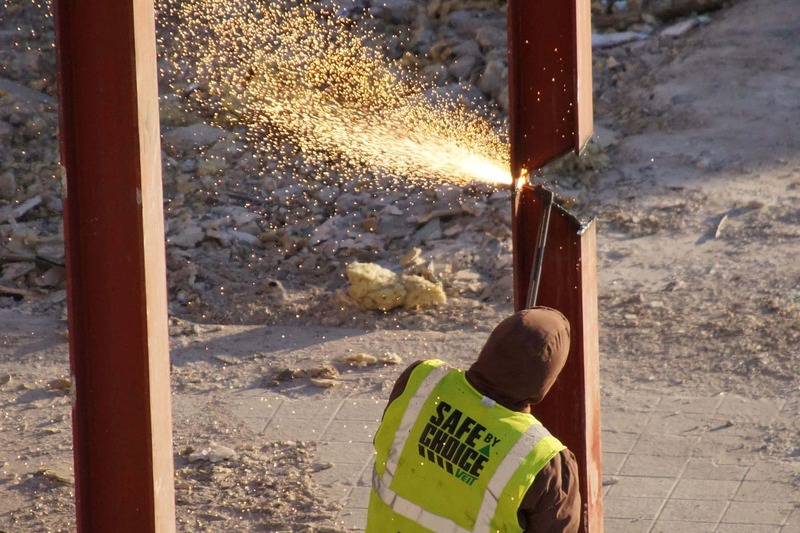 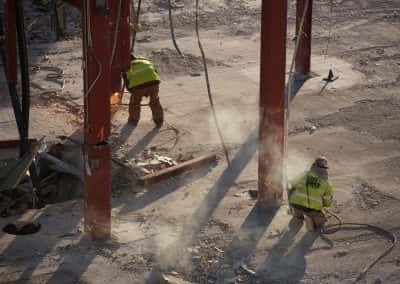 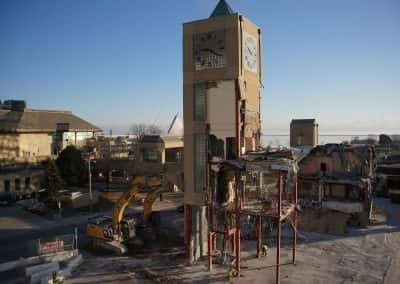 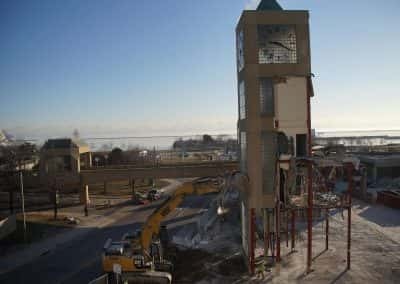 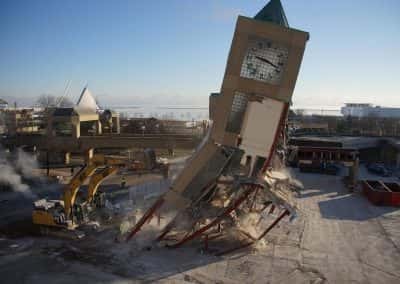 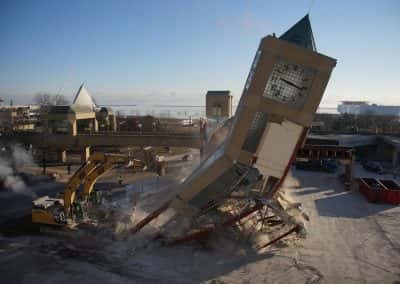 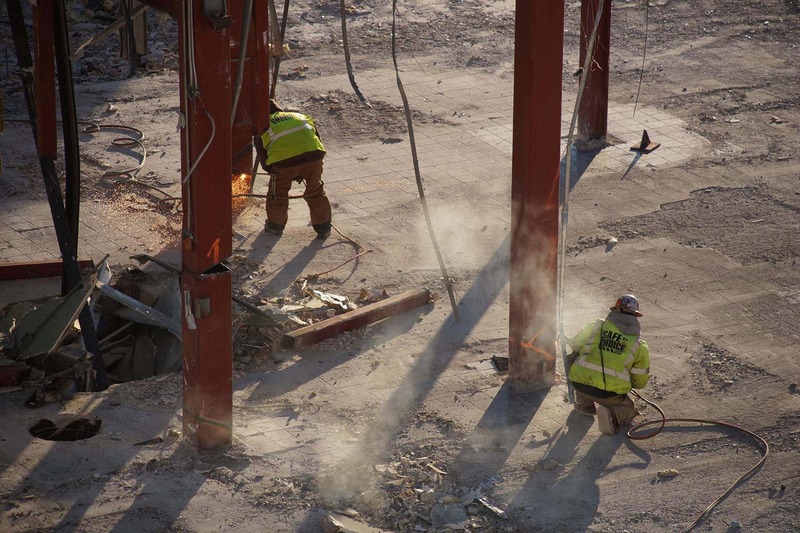 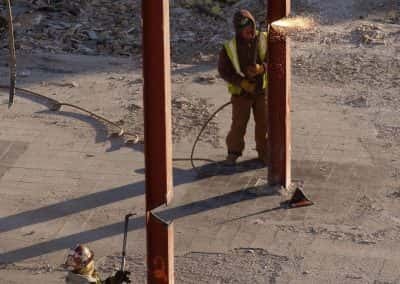 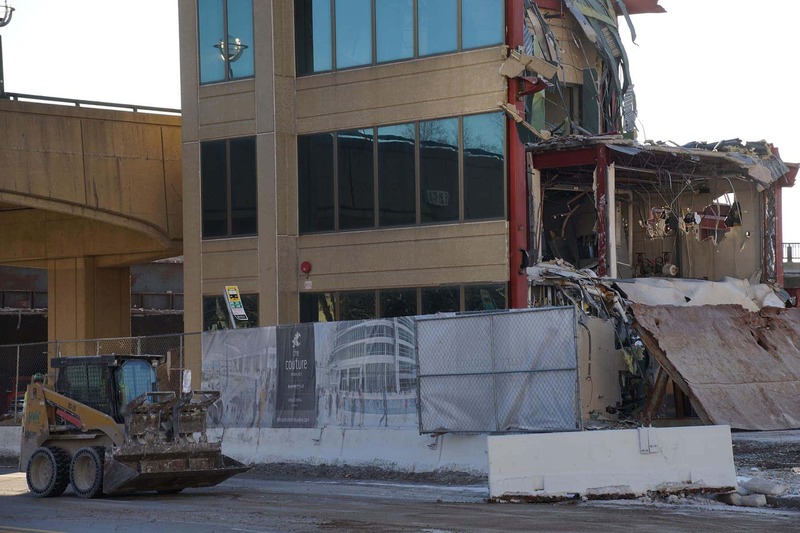 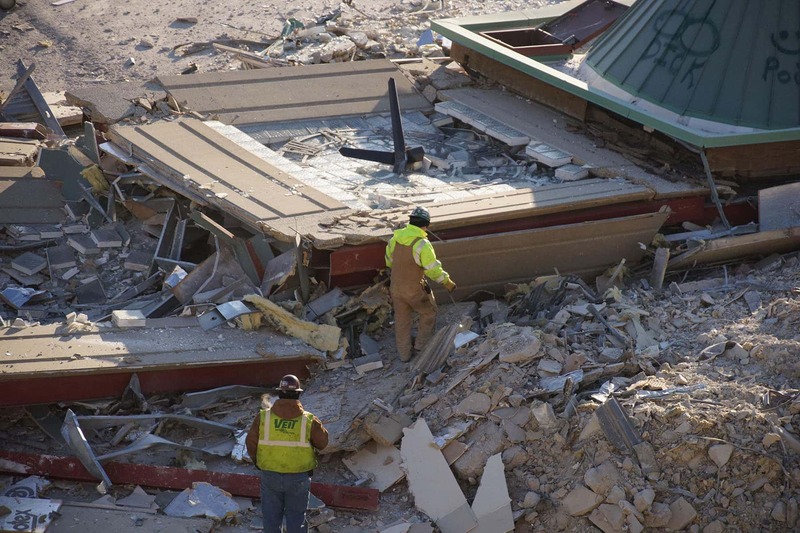 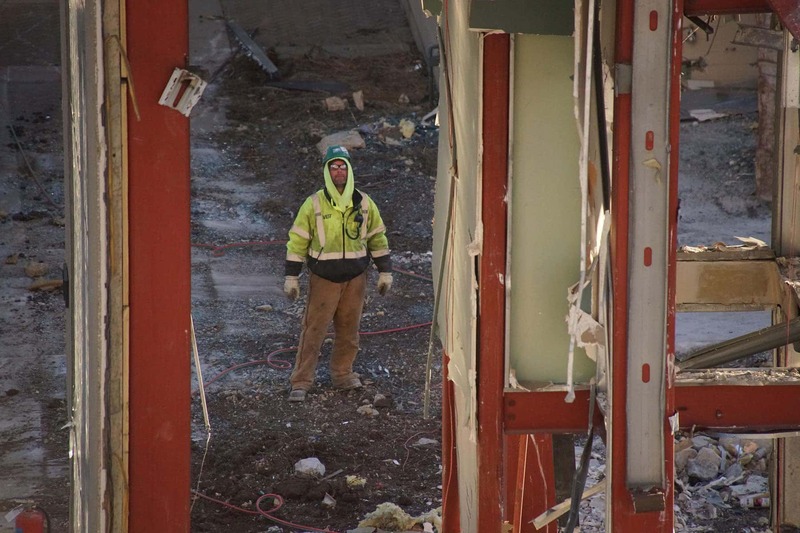 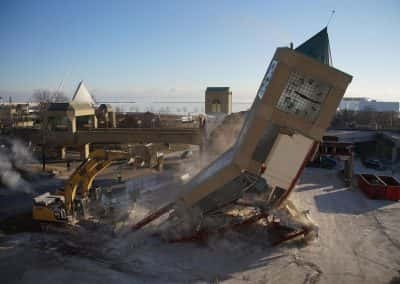 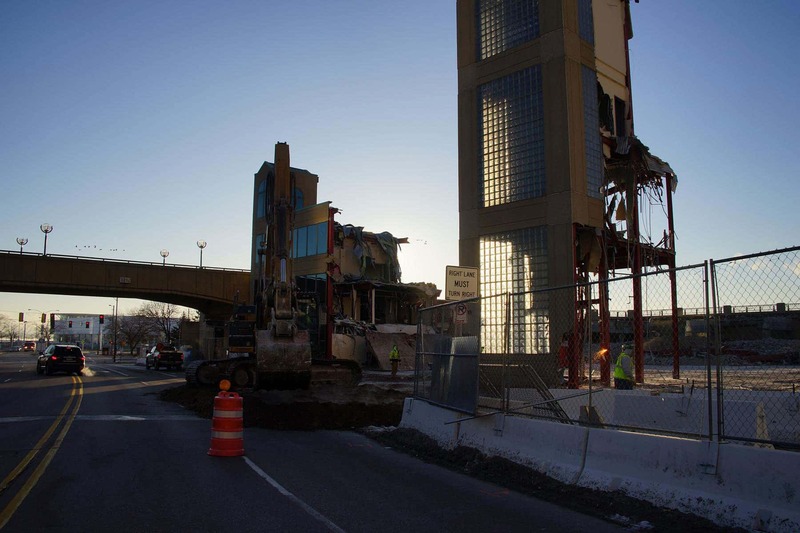 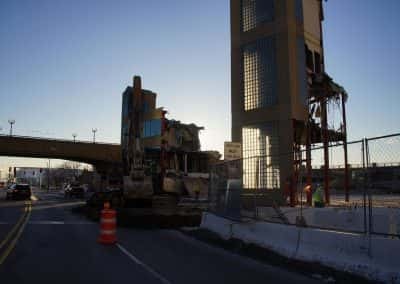 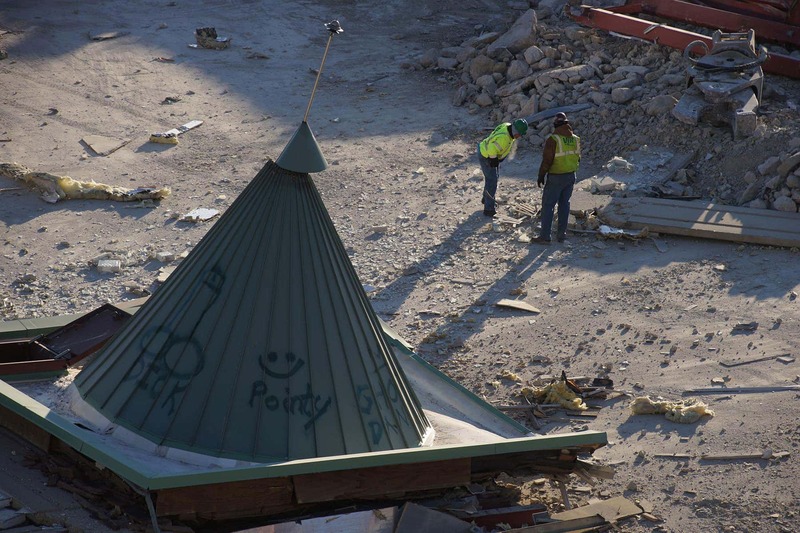 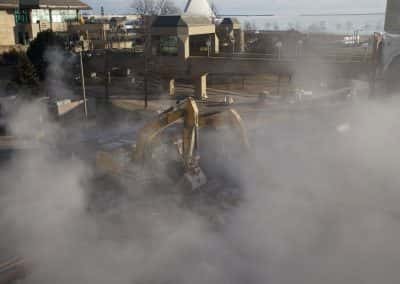 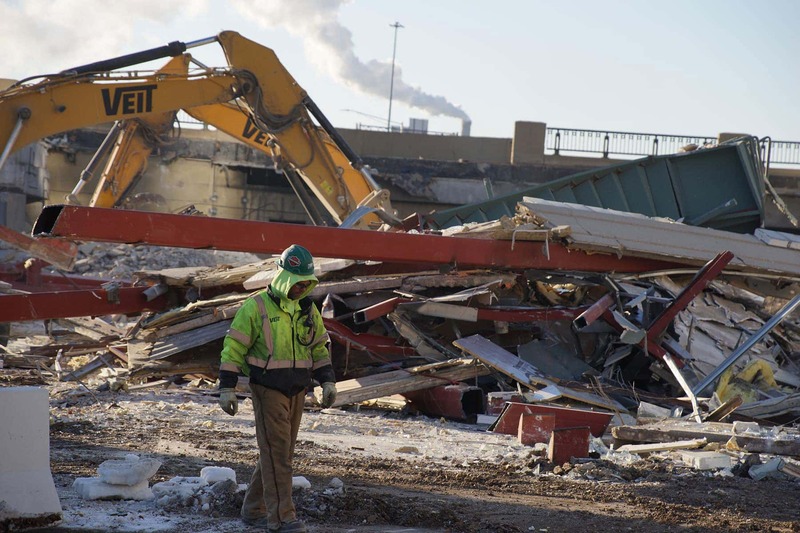 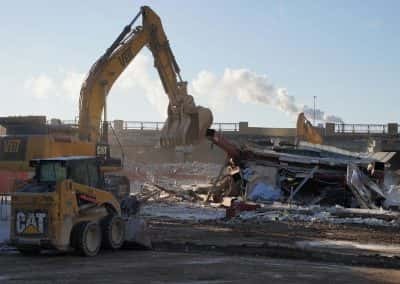 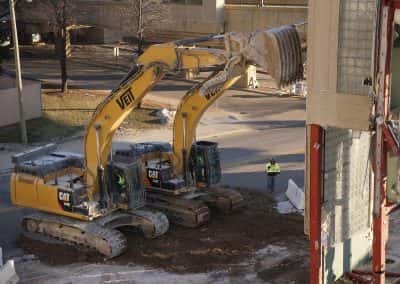 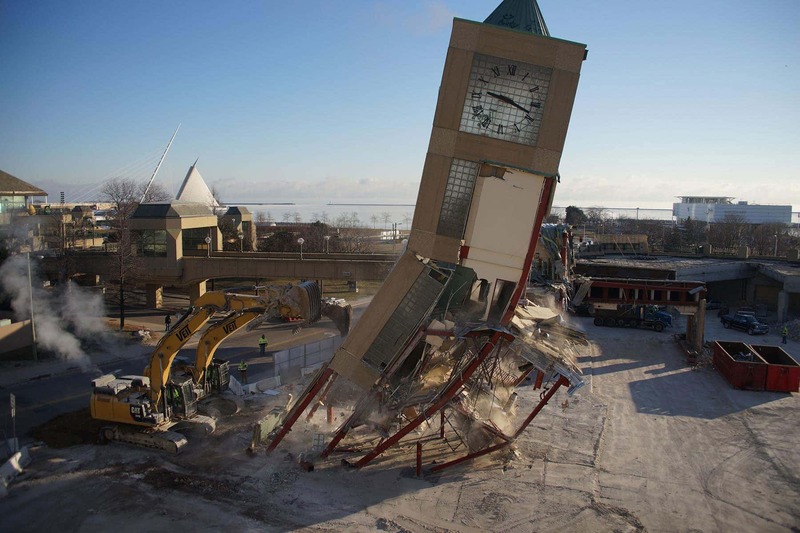 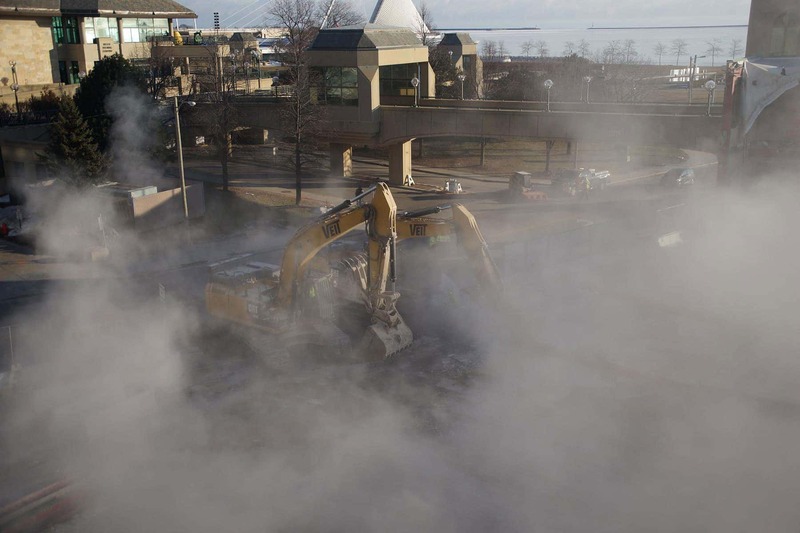 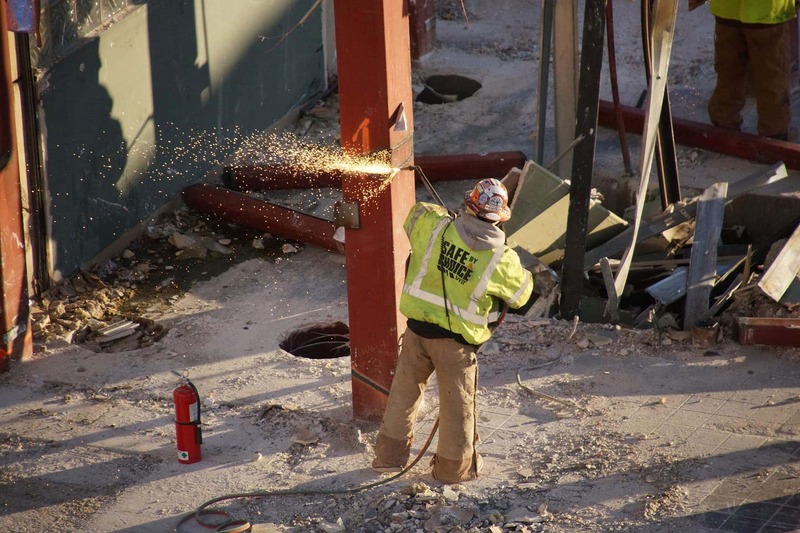 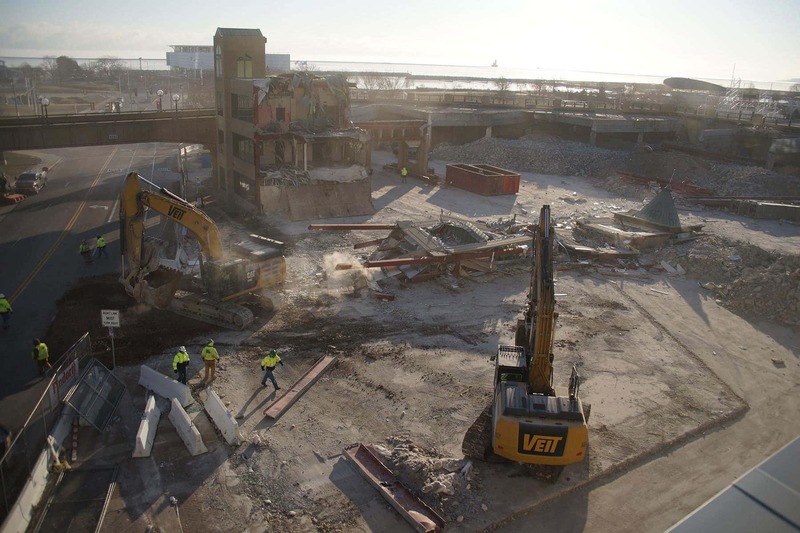 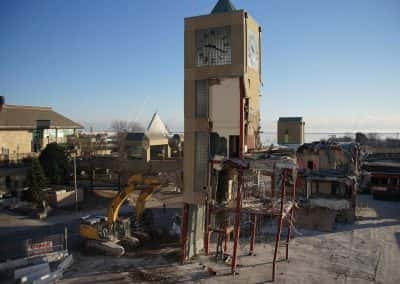 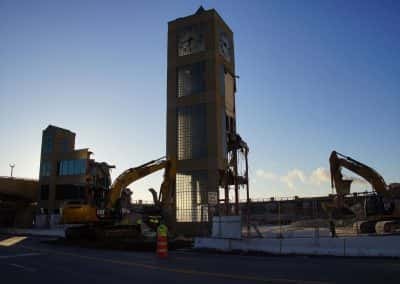 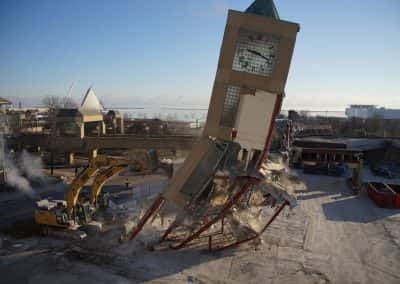 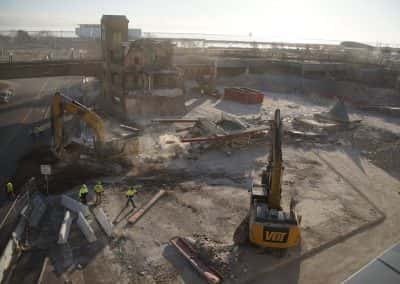 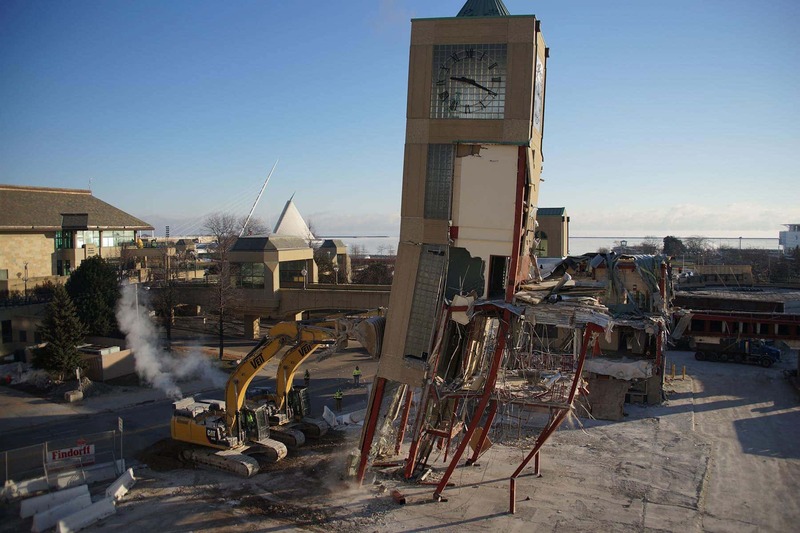 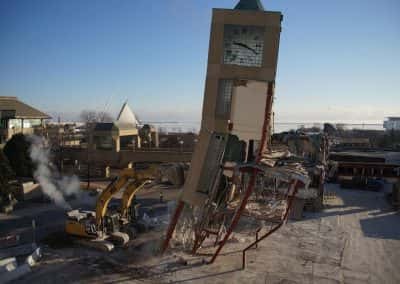 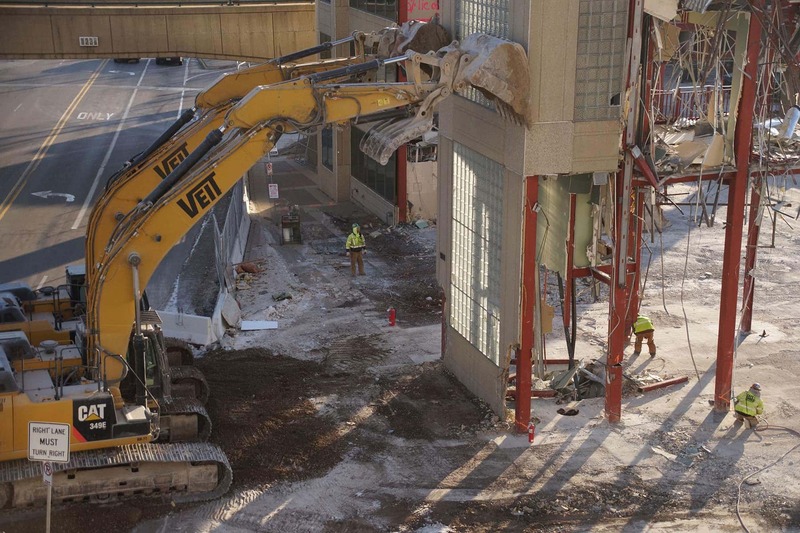 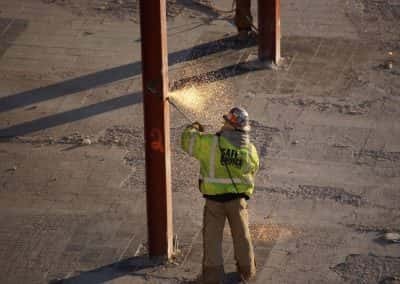 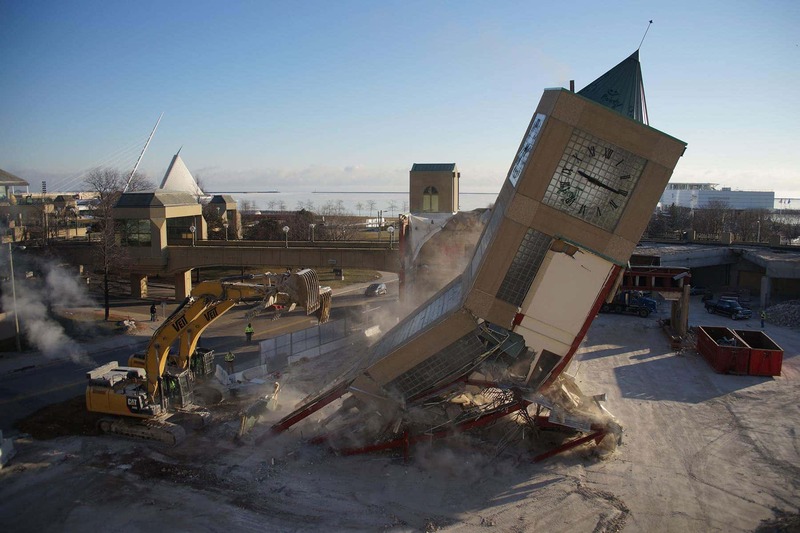 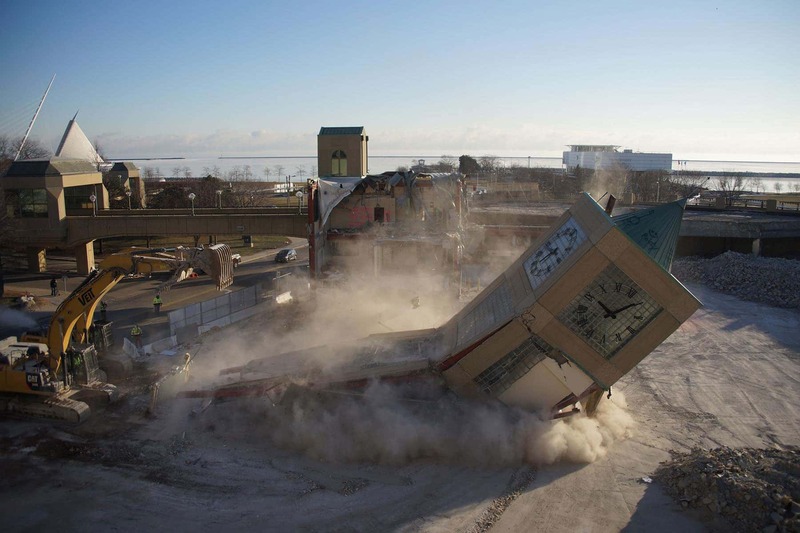 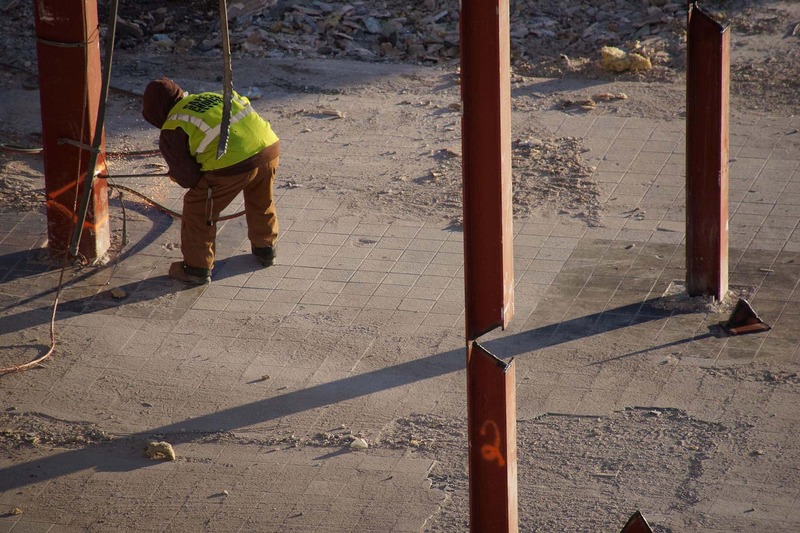 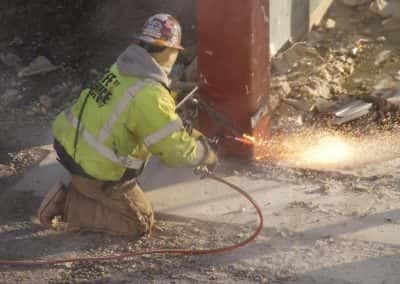 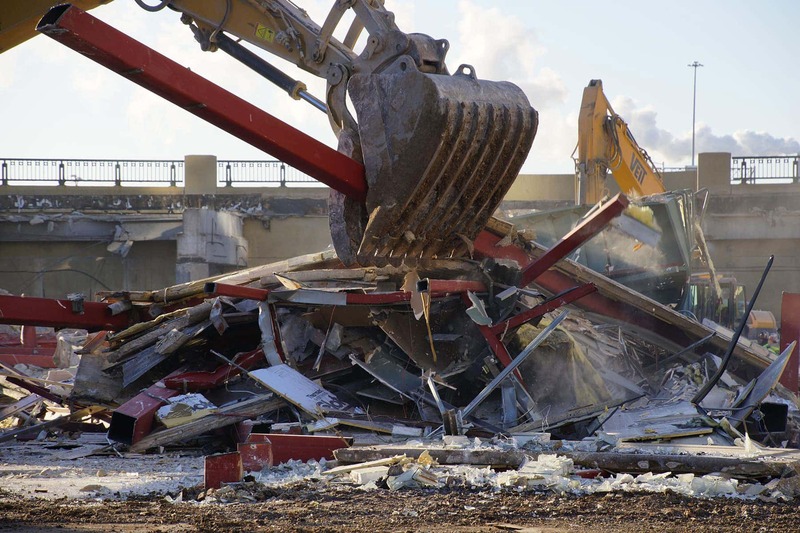 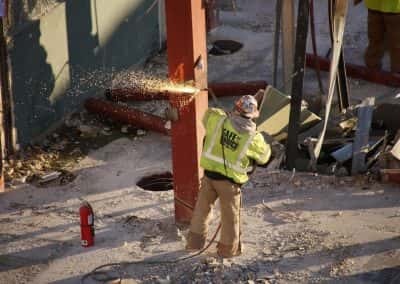 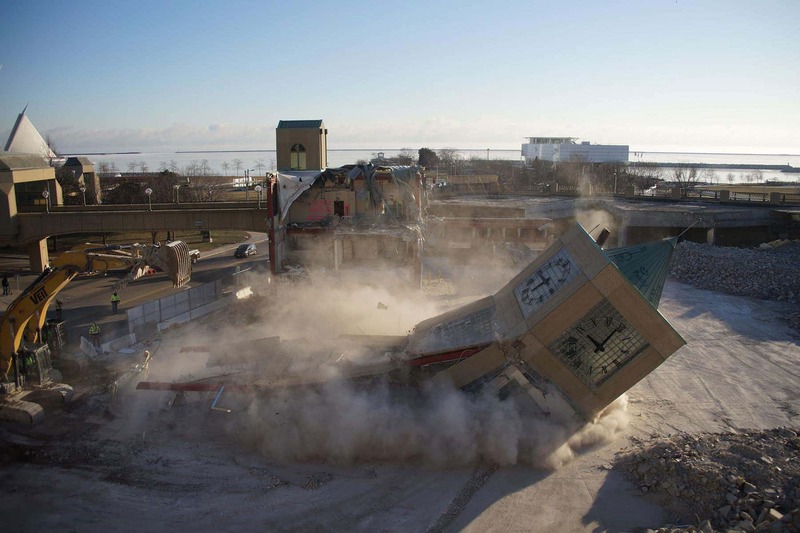 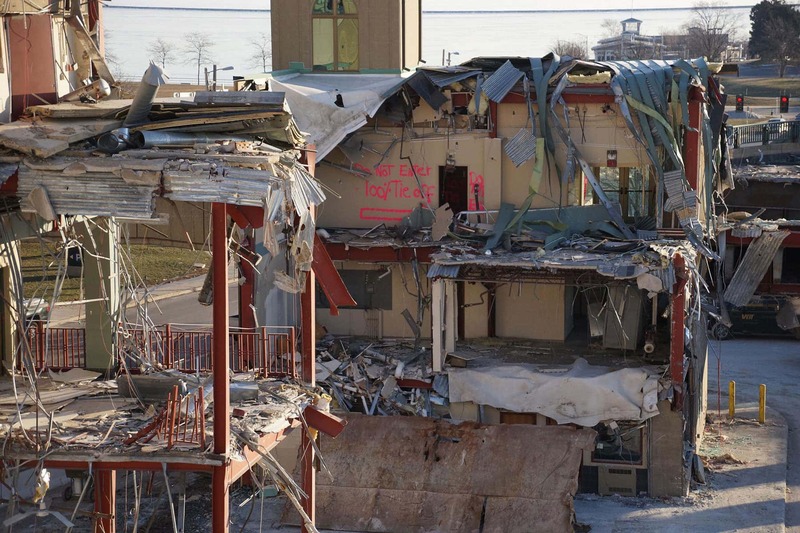 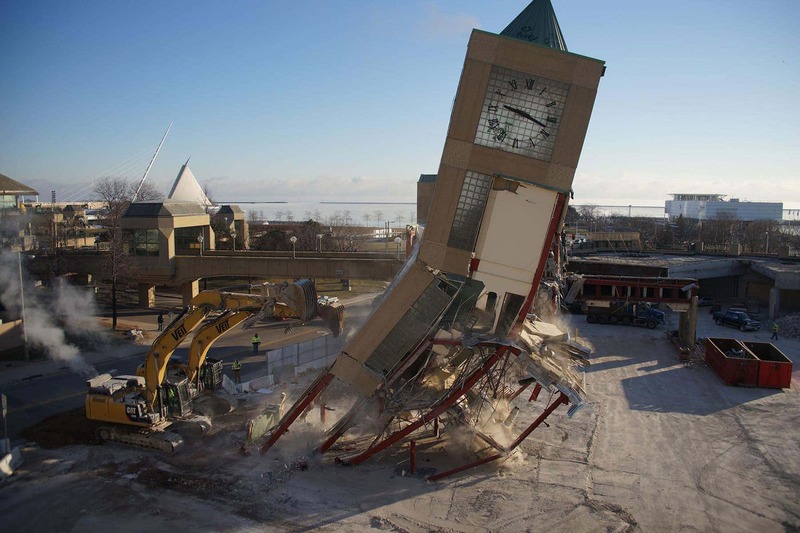 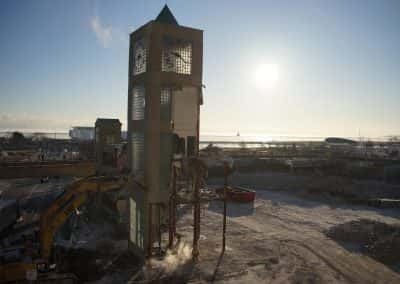 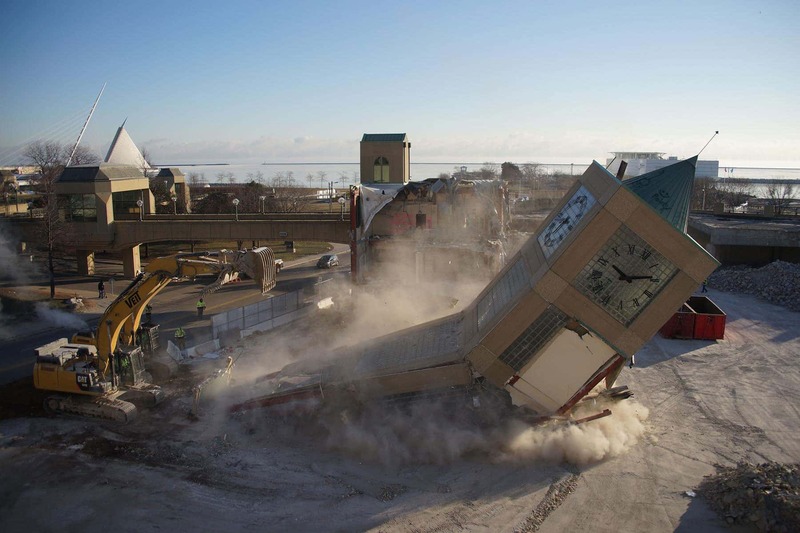 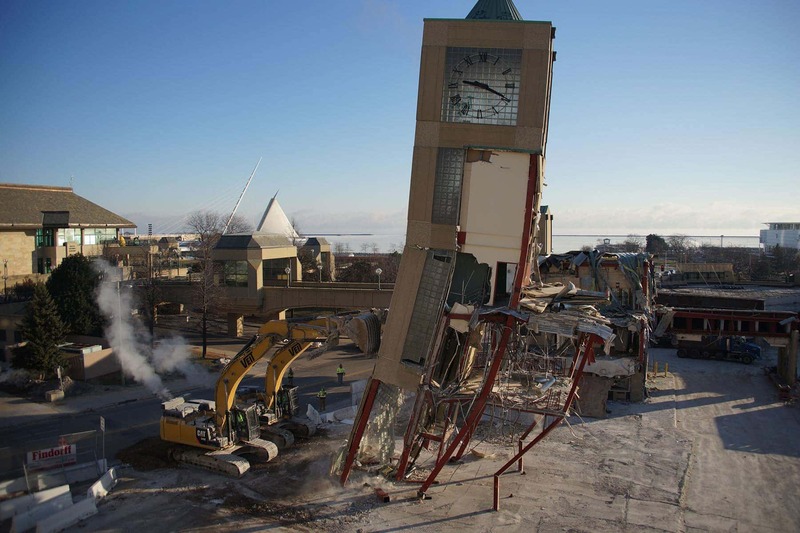 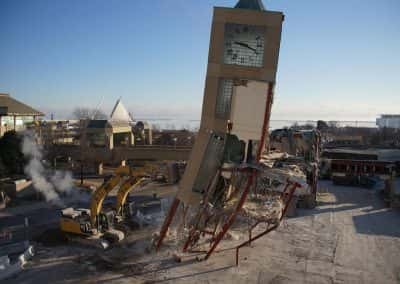 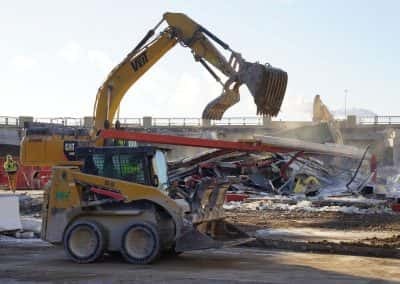 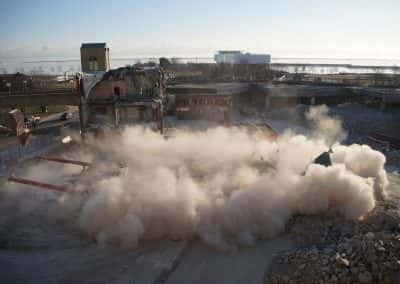 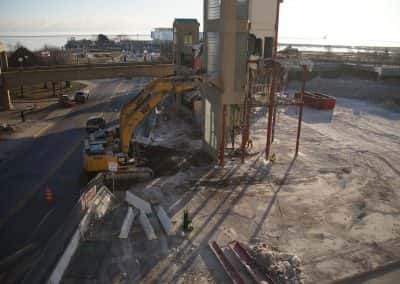 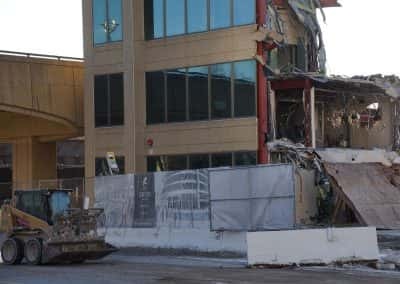 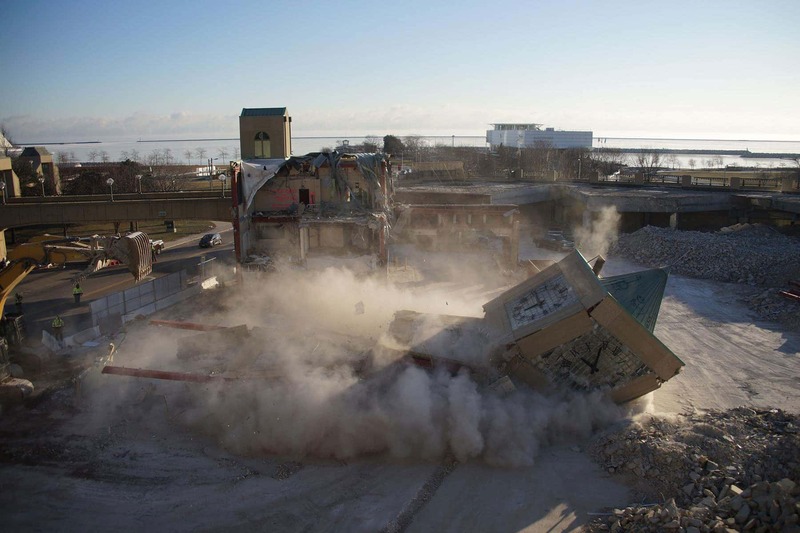 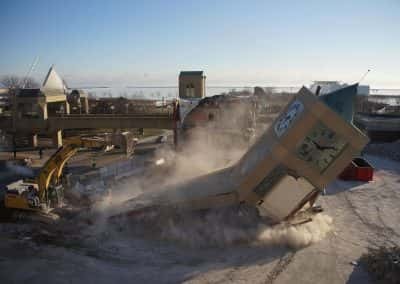 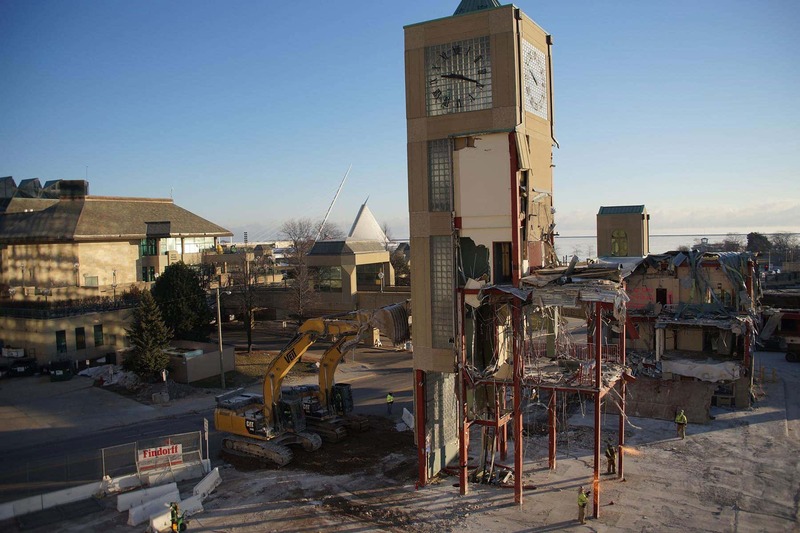 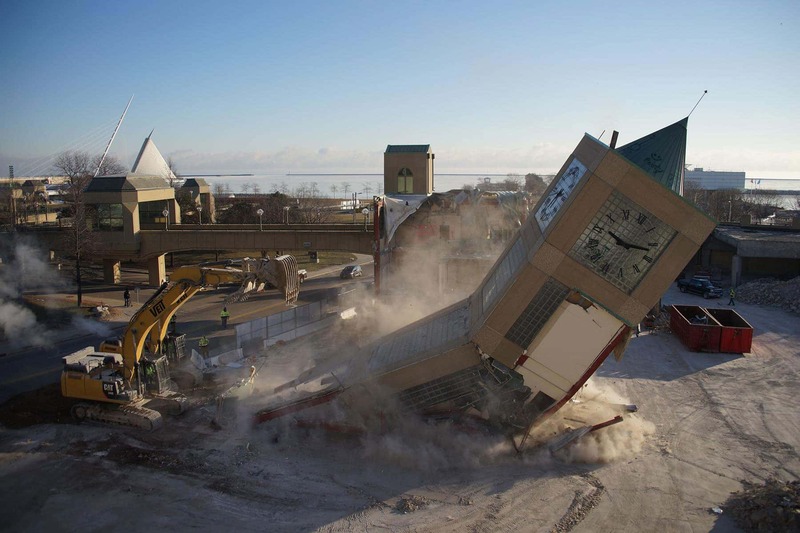 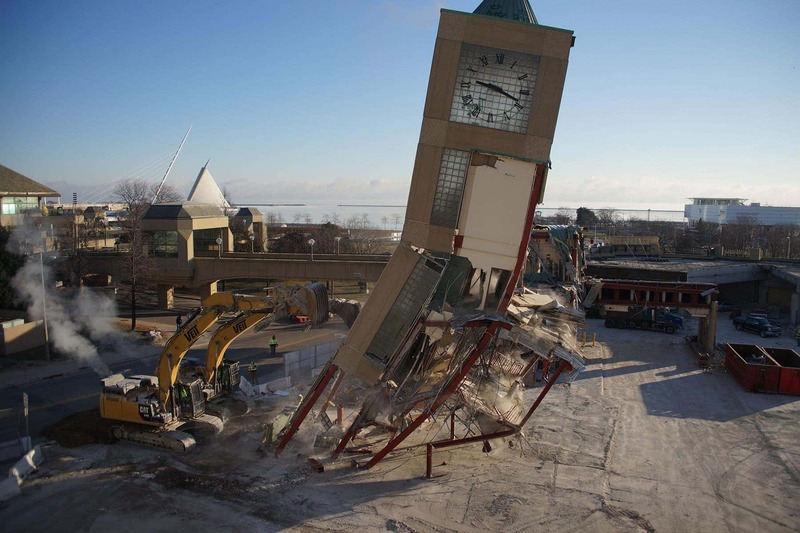 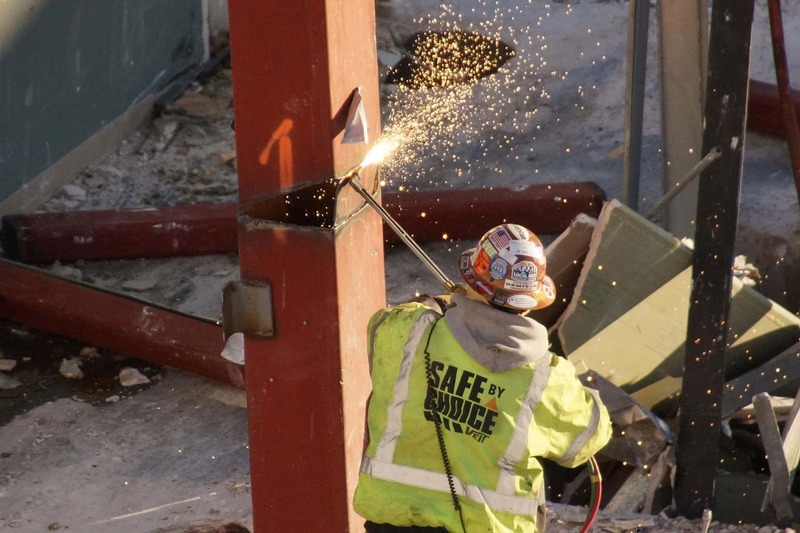 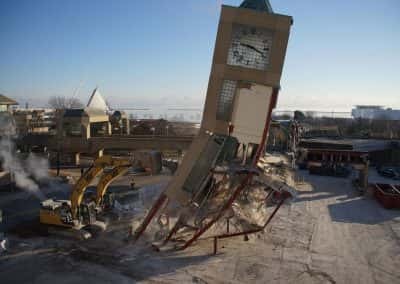 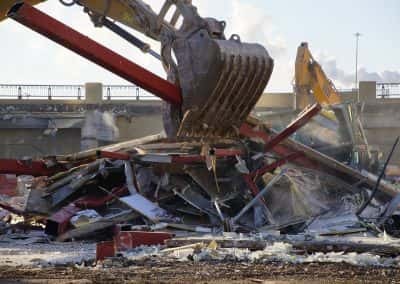 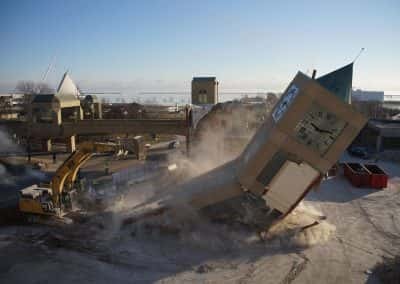 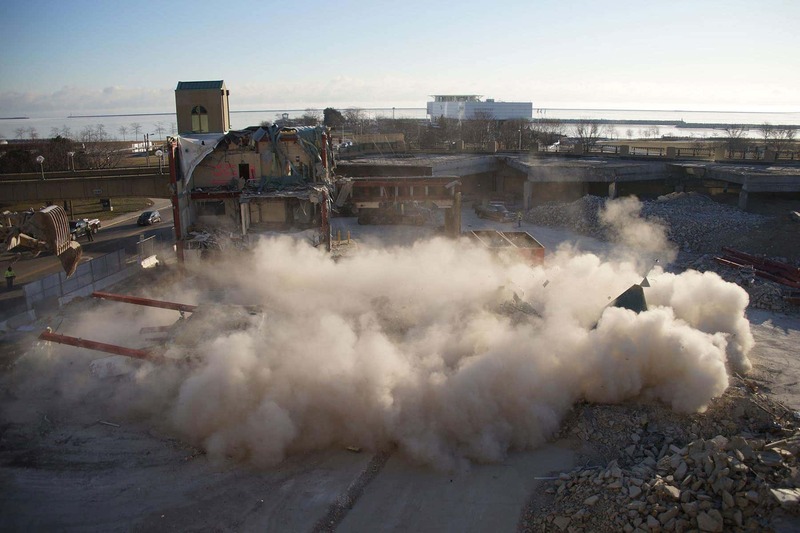 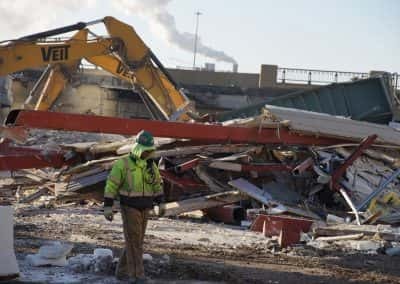 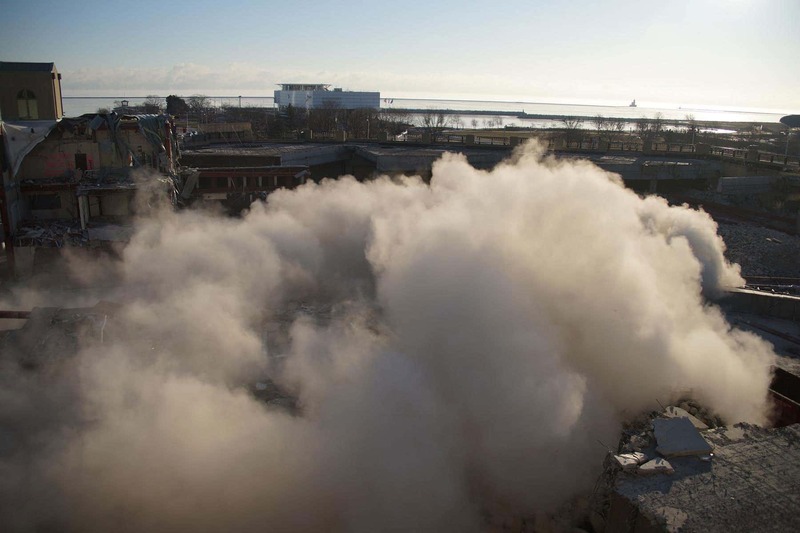 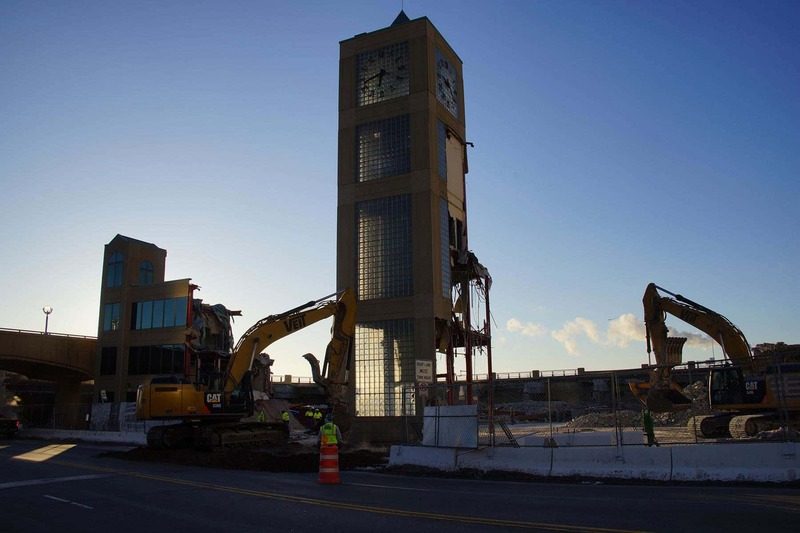 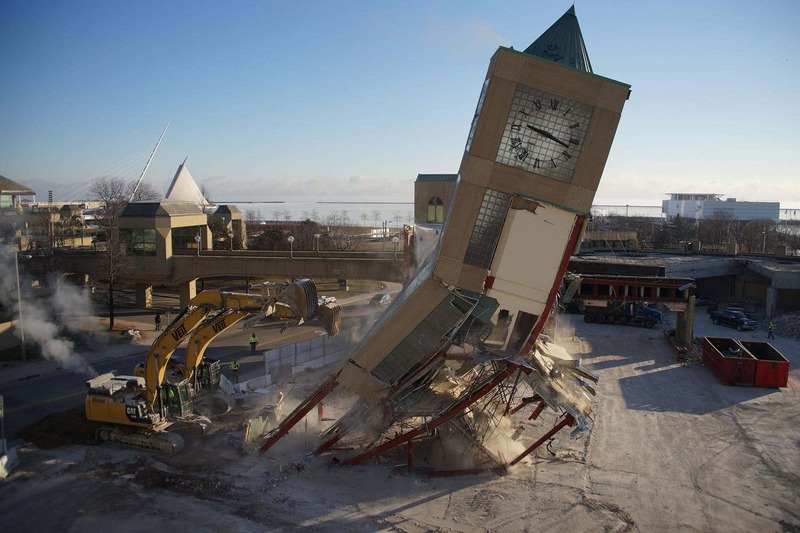 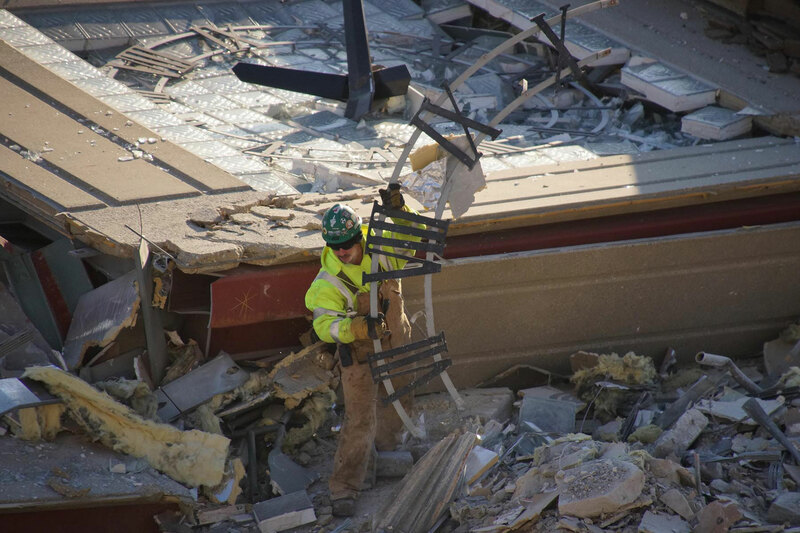 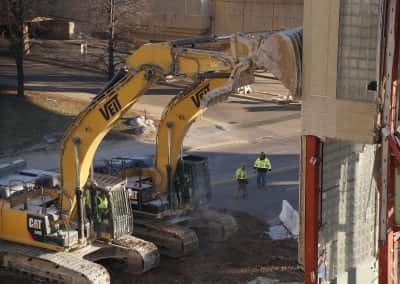 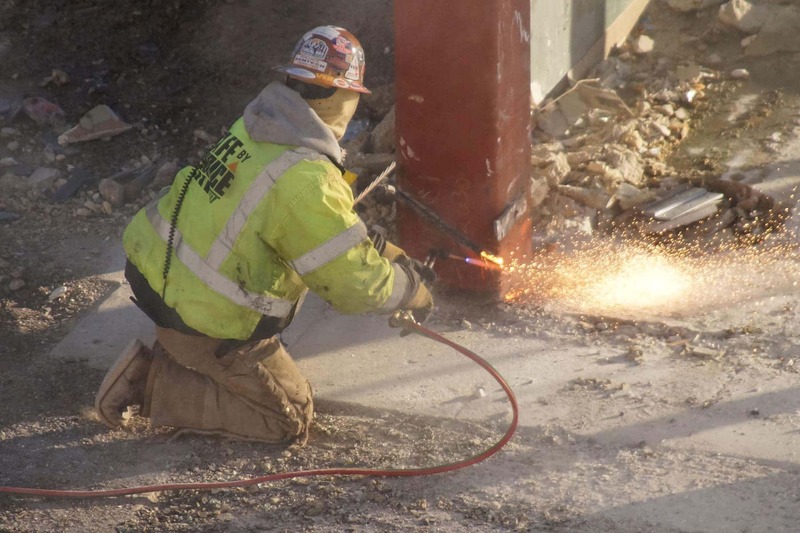 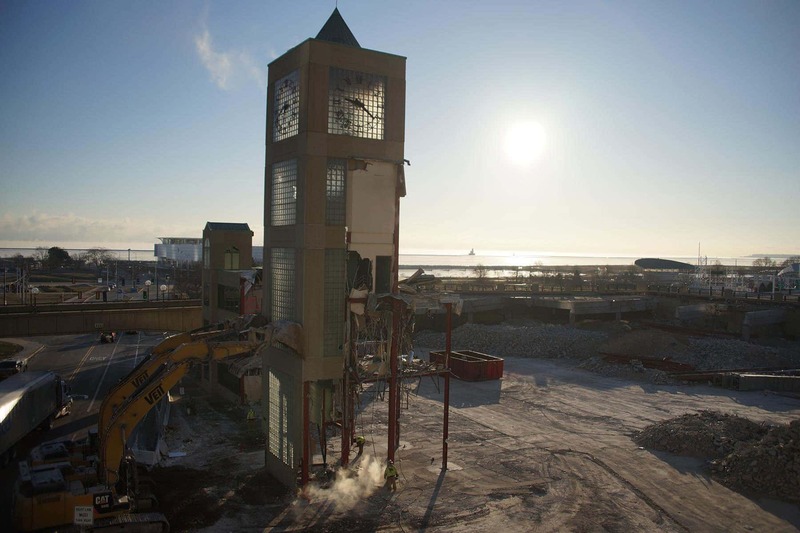 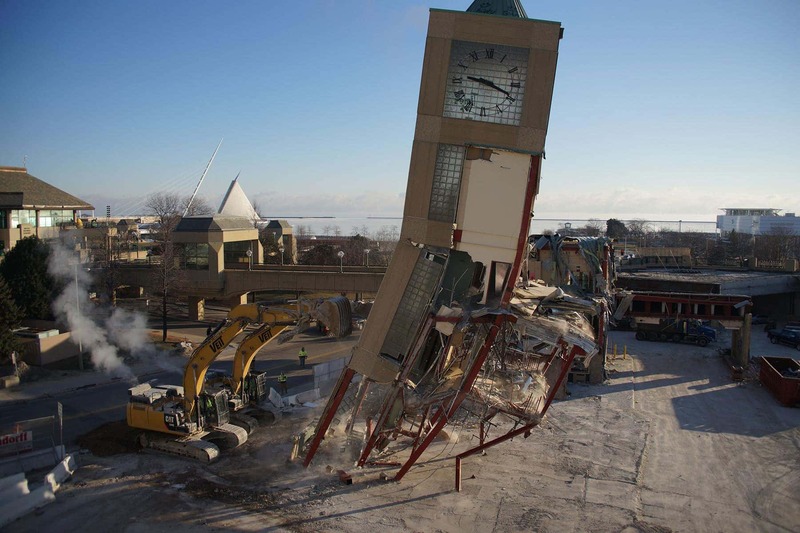 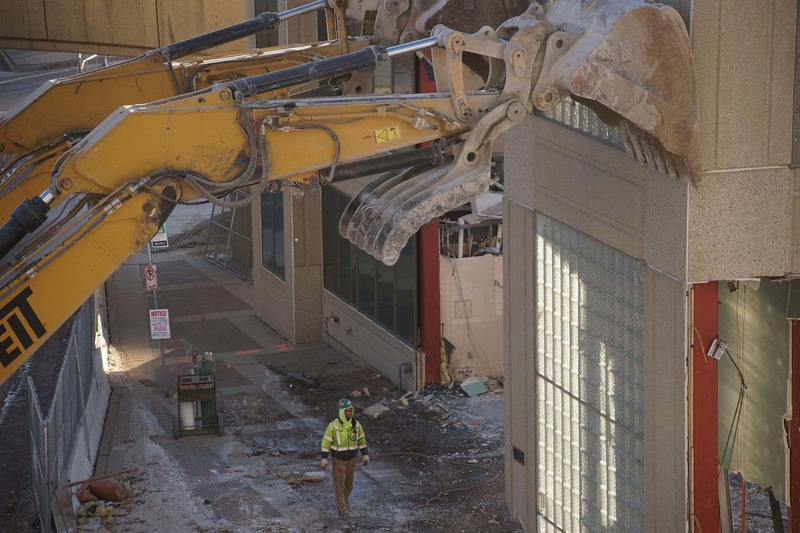 Demolition of the Transit Center’s clock tower took place on January 7 at 8:41 a.m. along the Milwaukee lakefront. 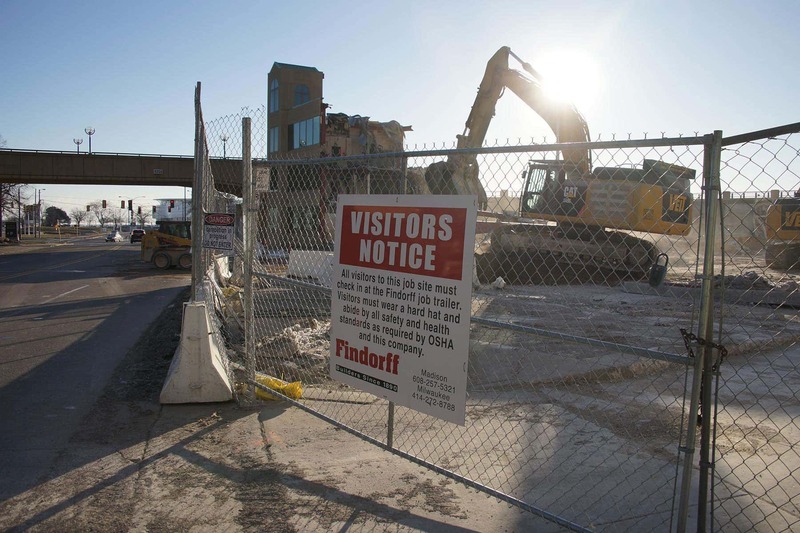 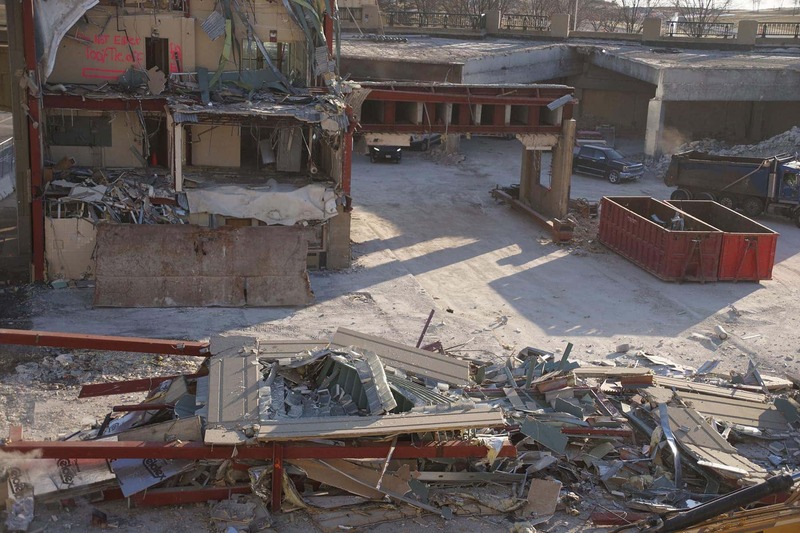 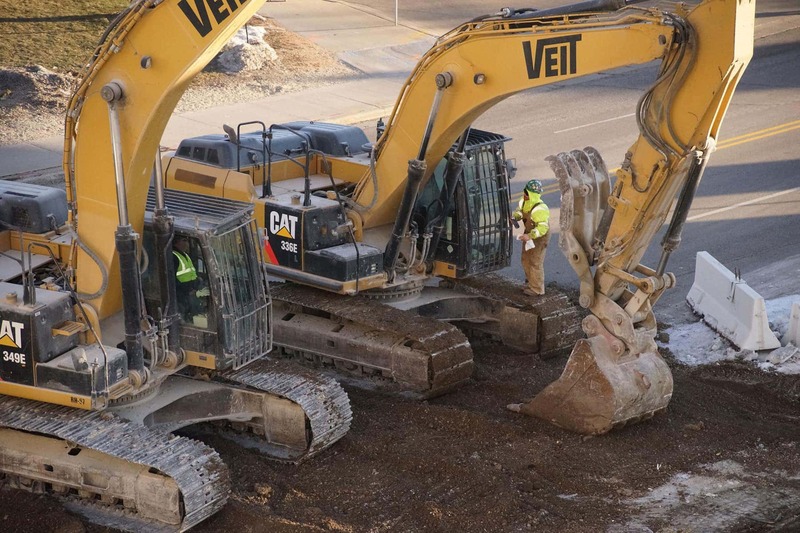 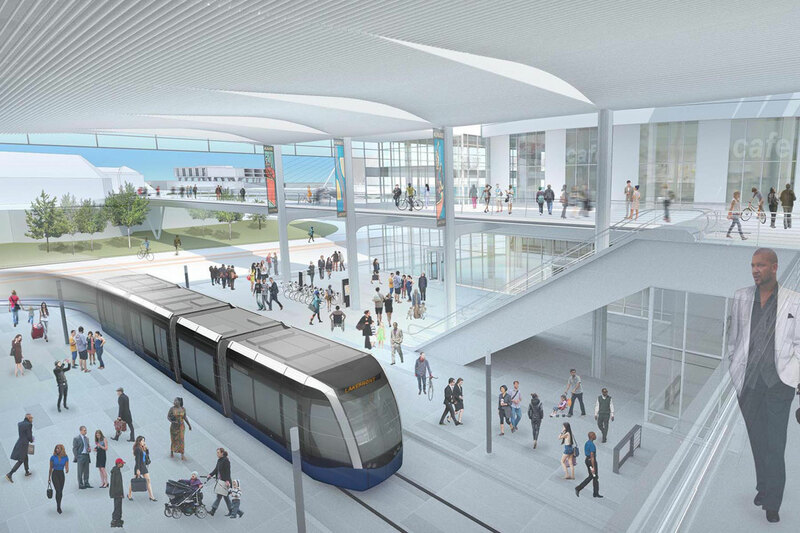 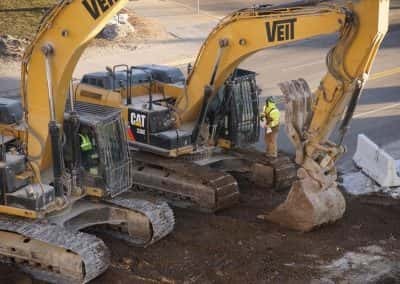 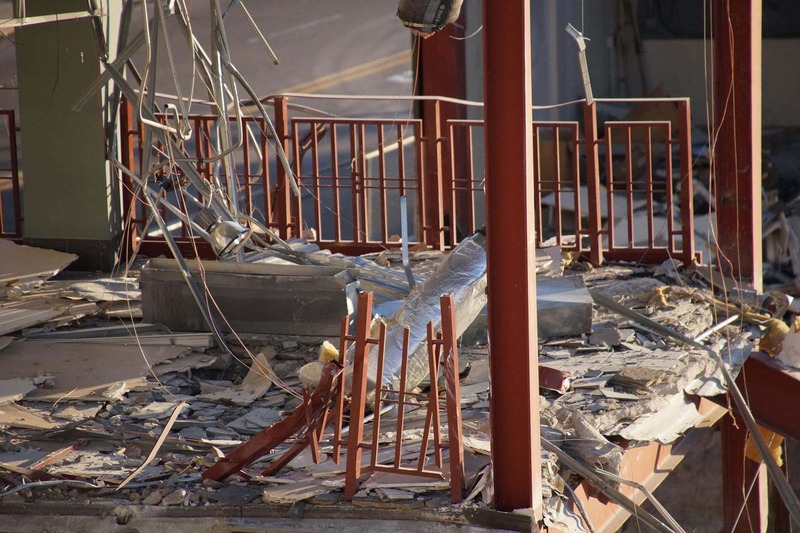 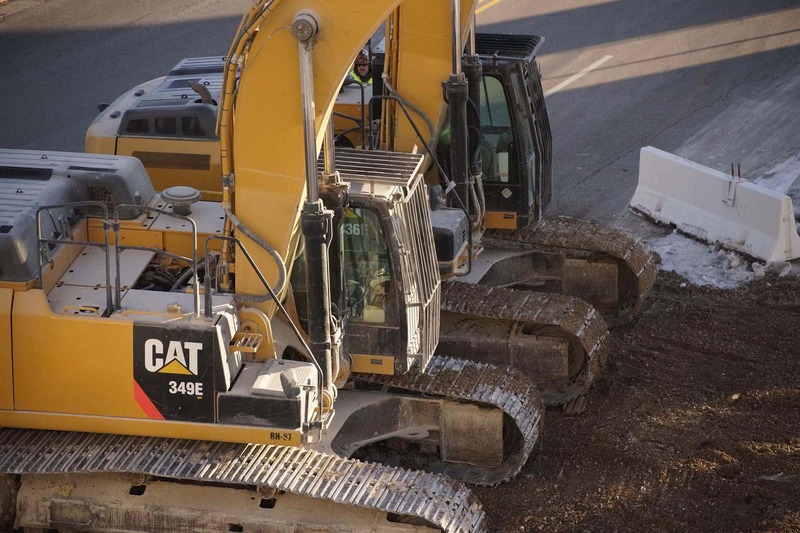 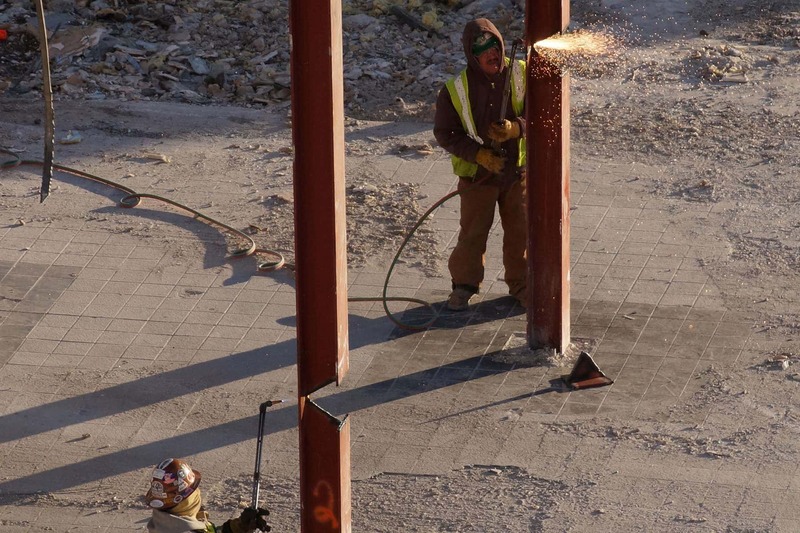 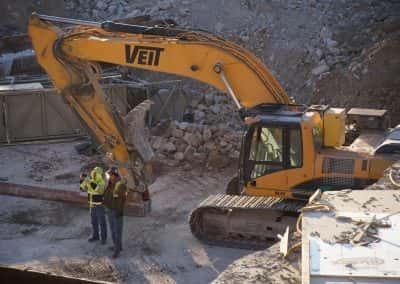 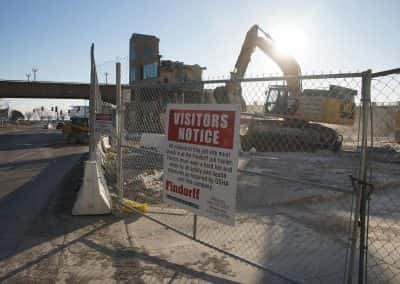 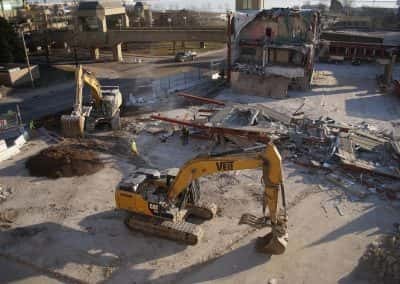 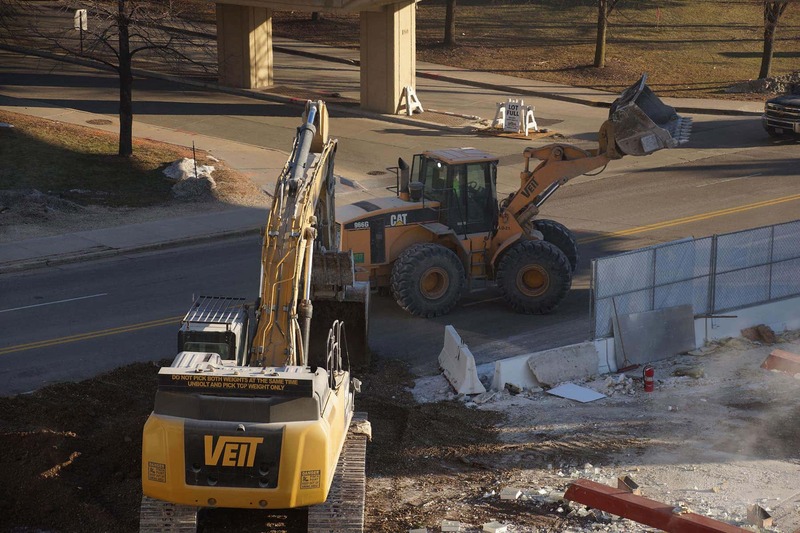 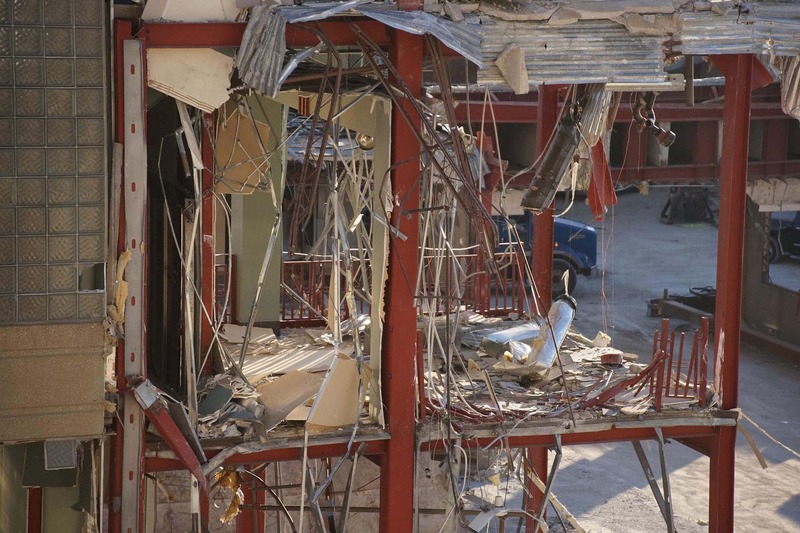 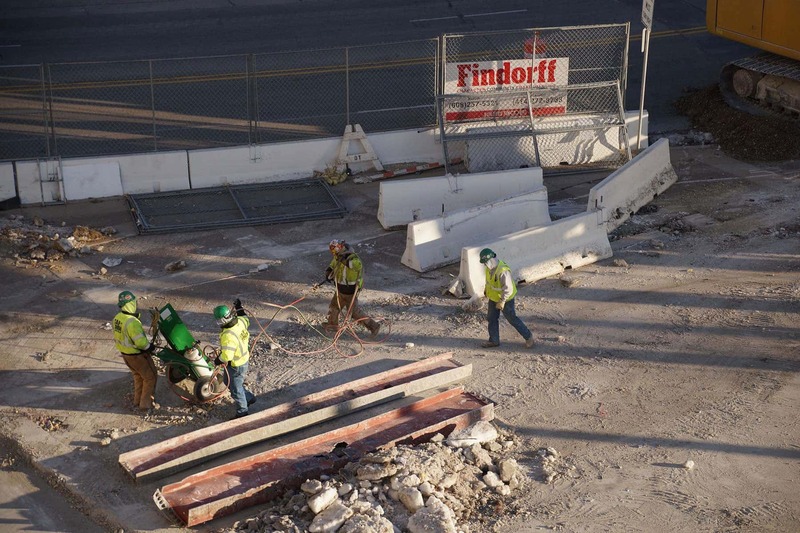 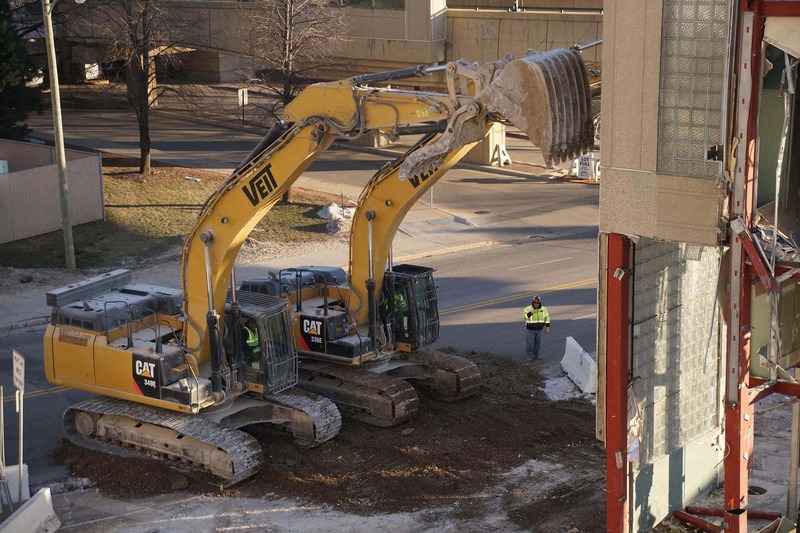 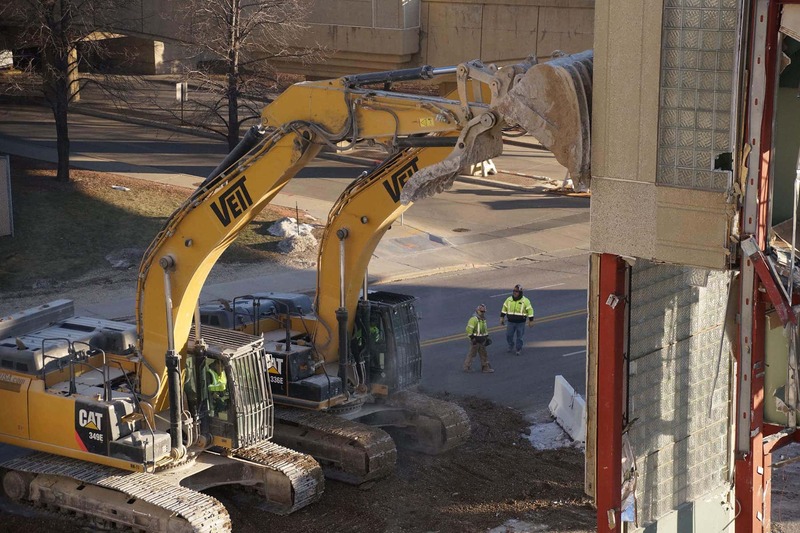 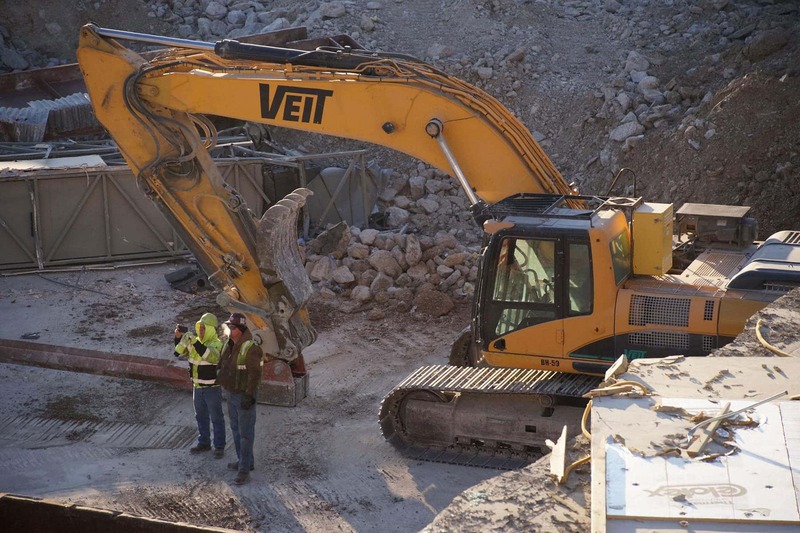 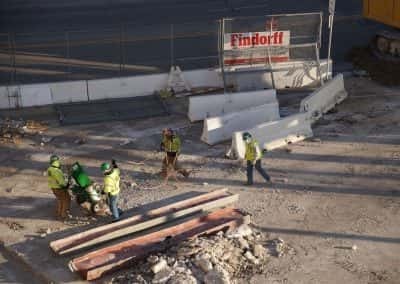 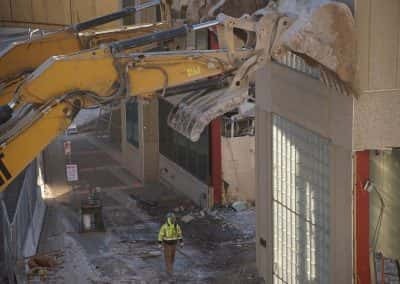 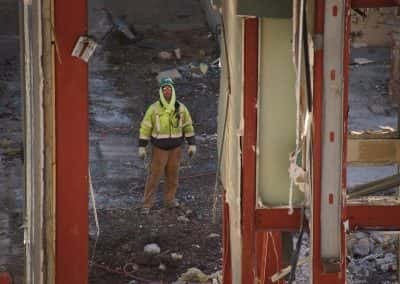 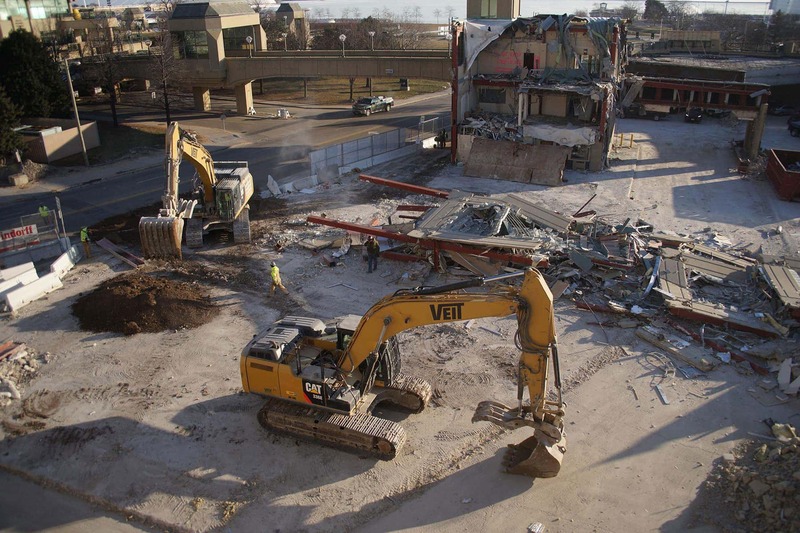 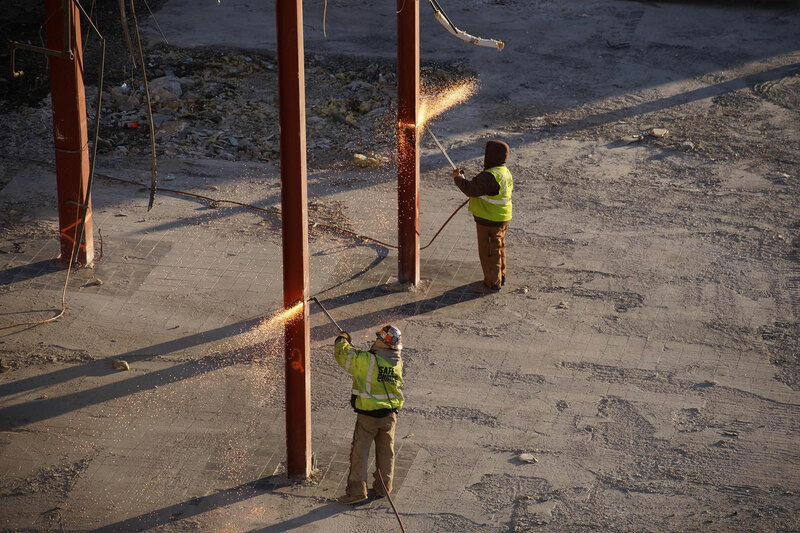 The gradual process of removing the Downtown Transit Center began in October. 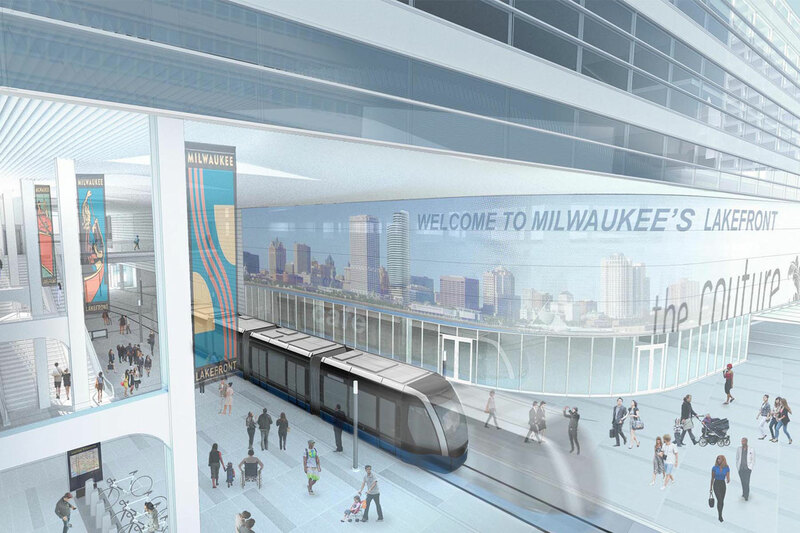 Designed as a transportation hub, the building had been underutilized for years. 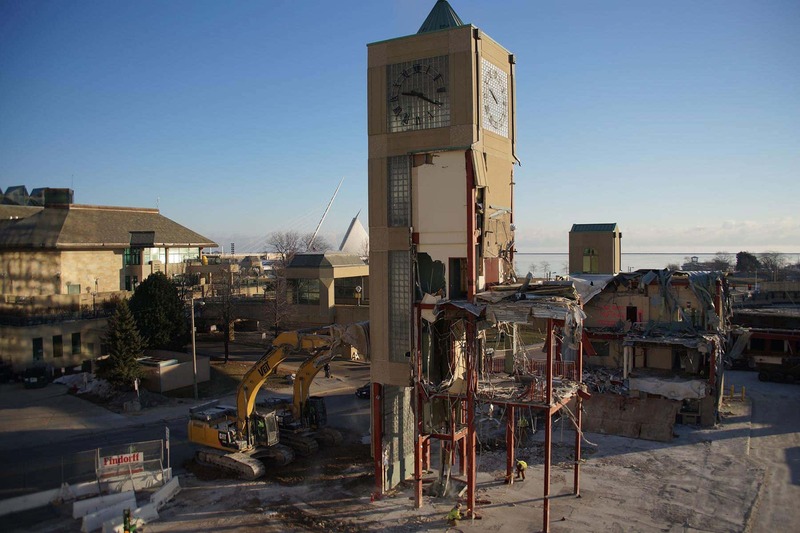 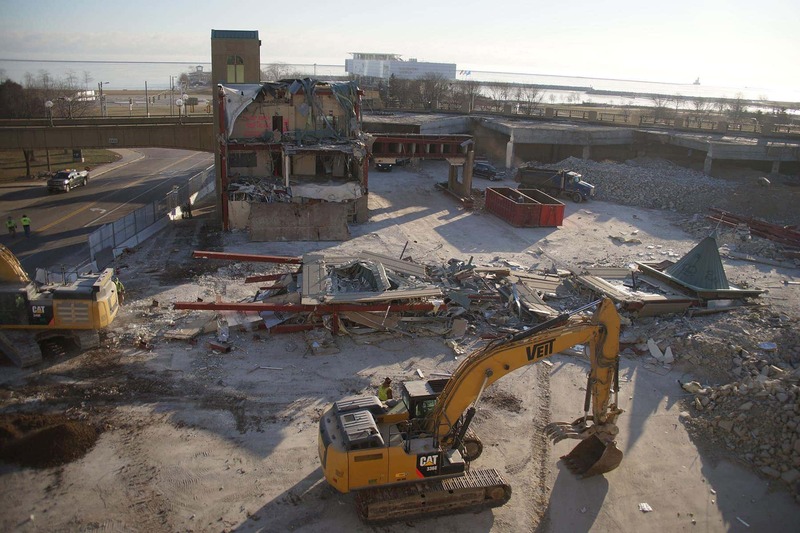 With the iconic clock tower demolished, little remains to identify the former lakefront structure. 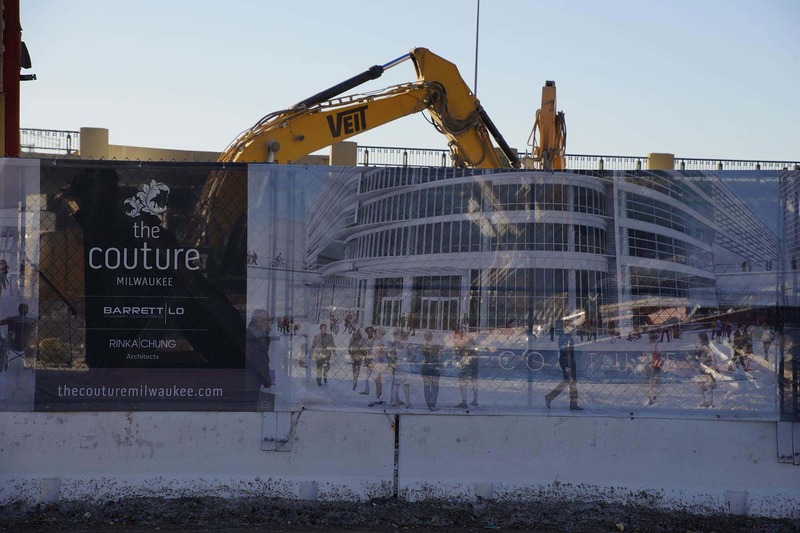 After crews clear the site at 909 E. Michigan Street, construction is expected to being this year at the location for the Couture building. 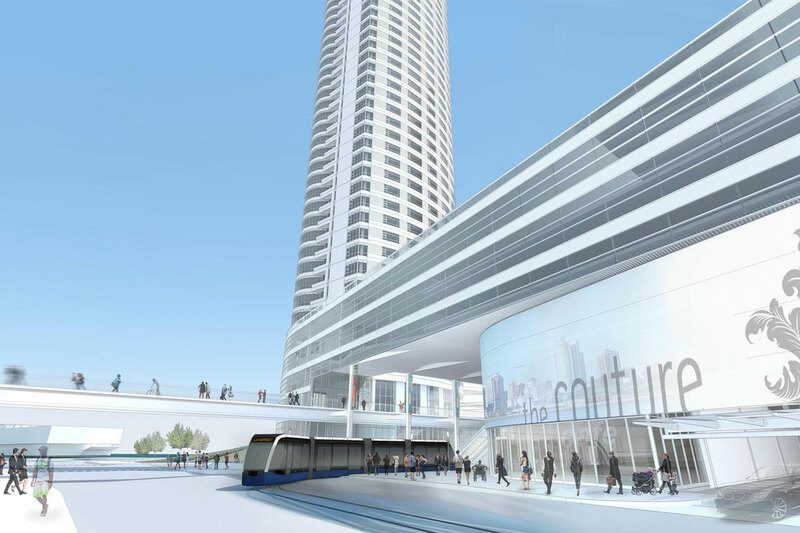 That 44 storied skyscraper will take almost three years to finish. 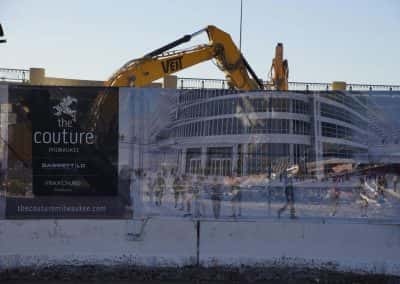 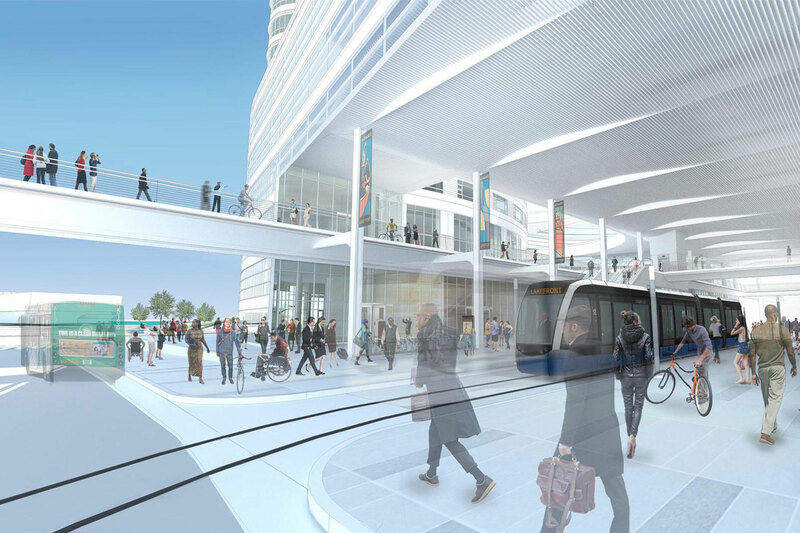 It will have a public transit center, public plazas and parks, pedestrian bridges, retail space, and several hundred apartments. 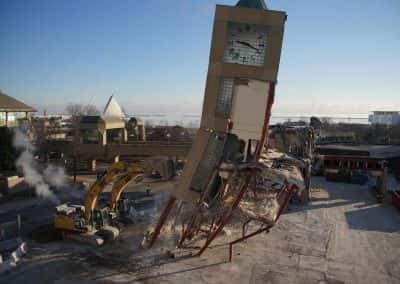 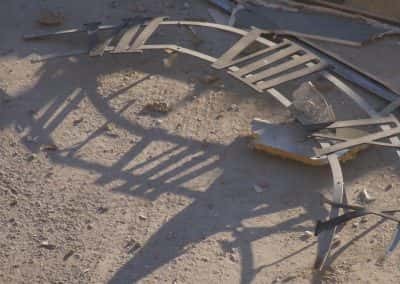 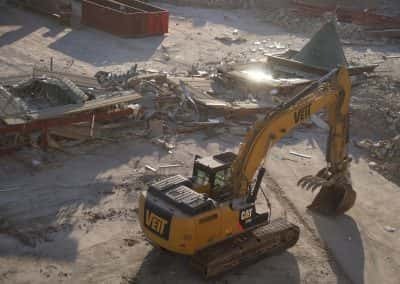 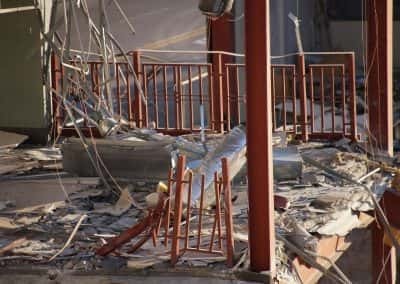 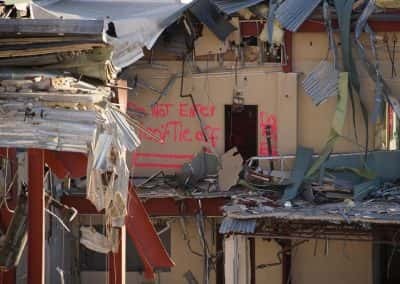 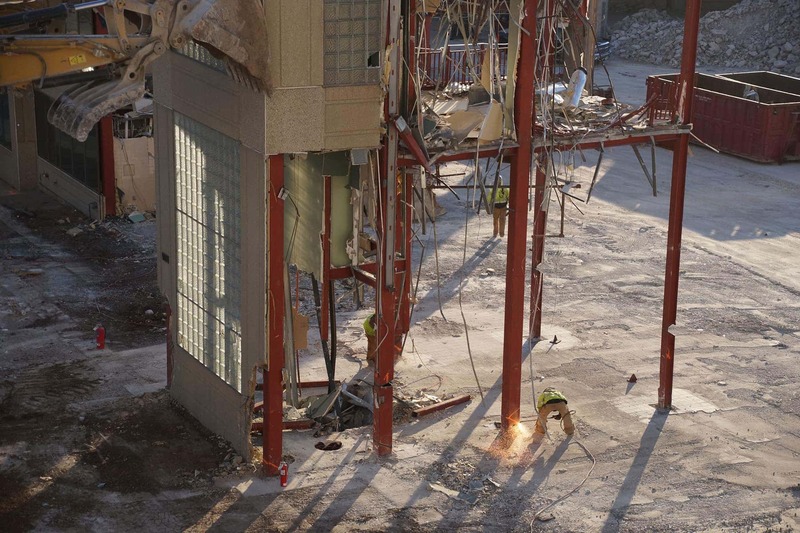 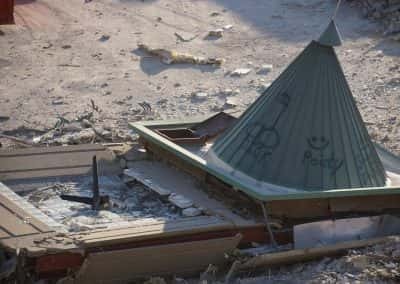 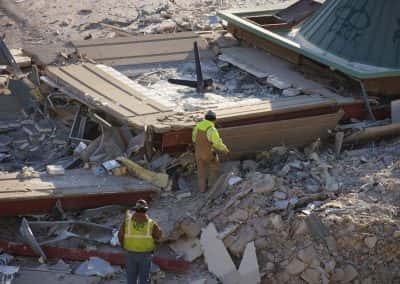 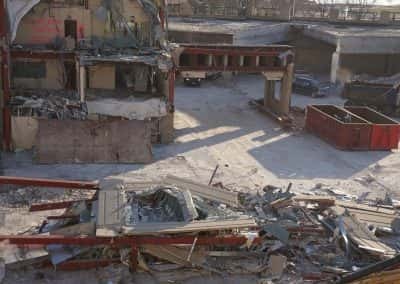 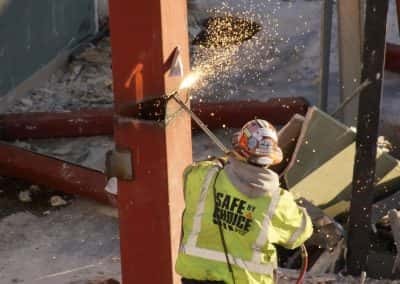 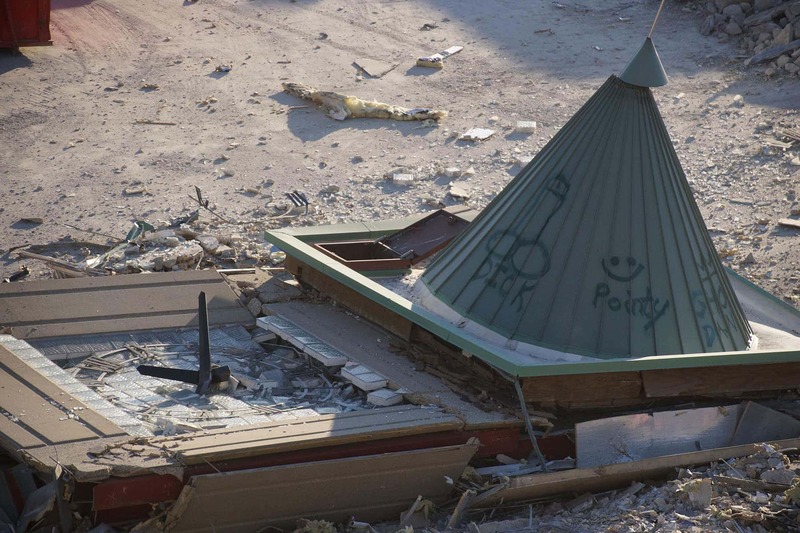 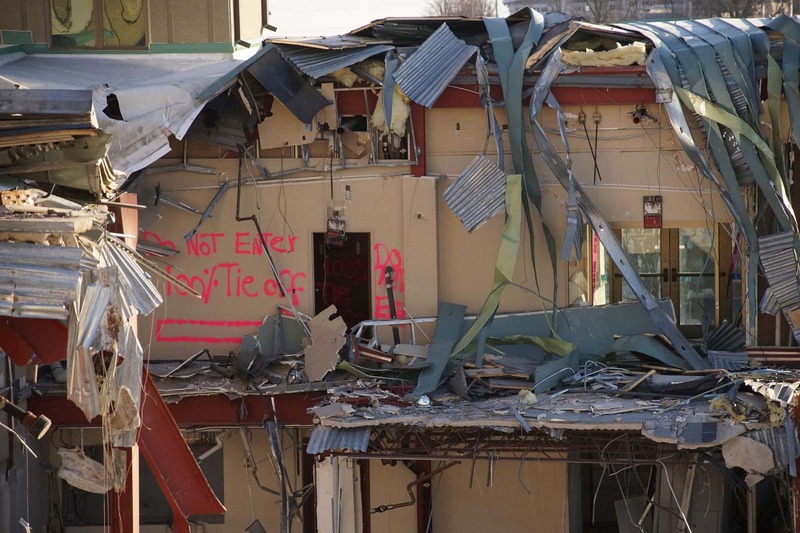 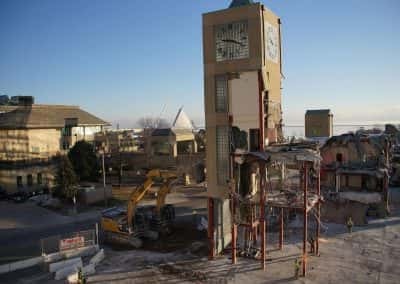 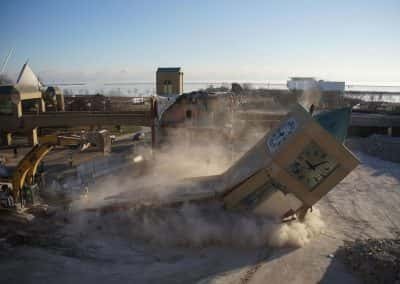 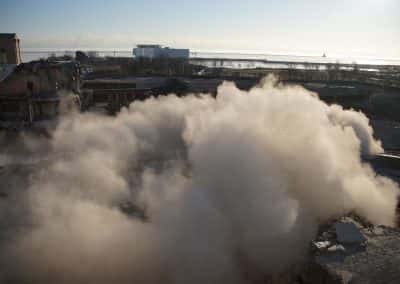 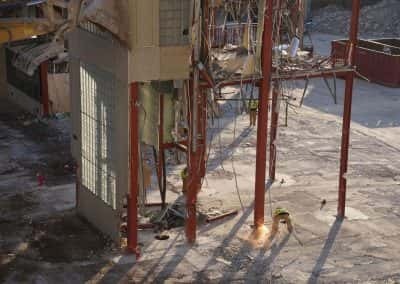 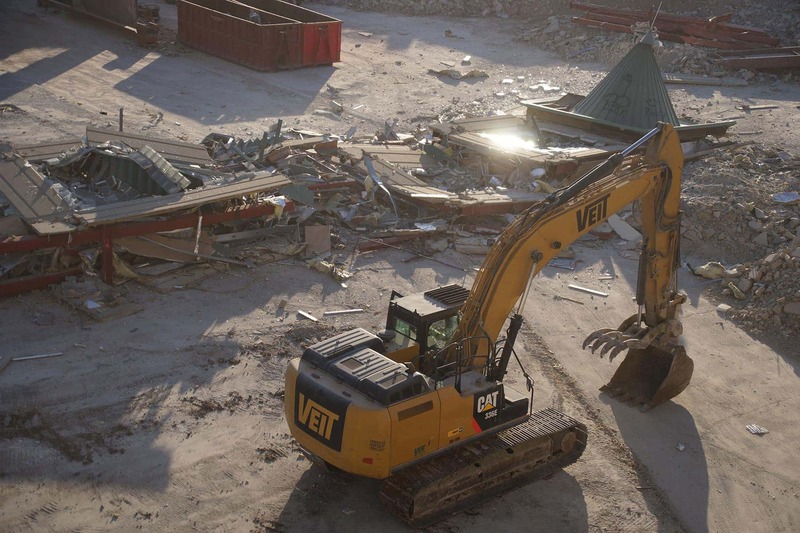 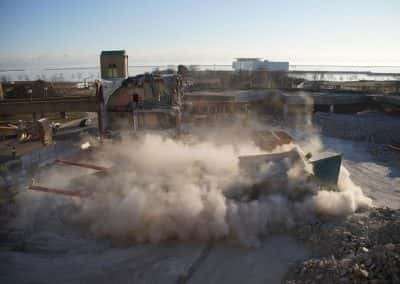 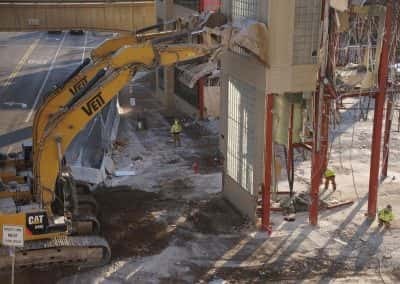 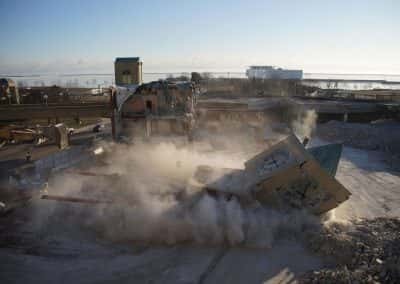 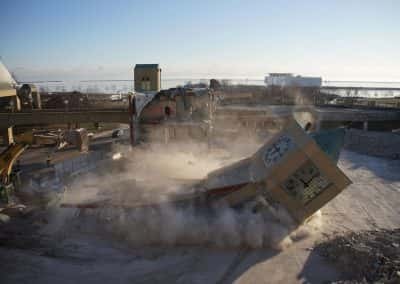 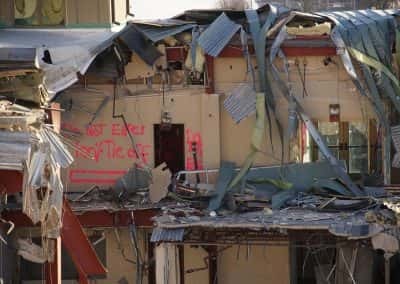 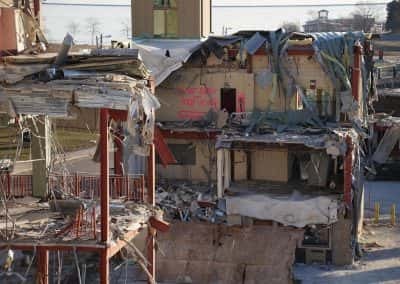 This photo essay shows demolition preparation for the clock tower, and the sequence of its collapse in a matter of seconds. 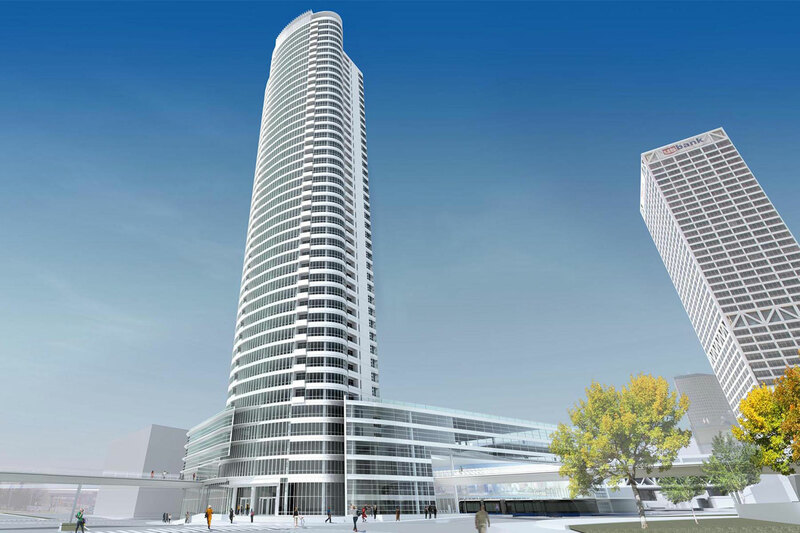 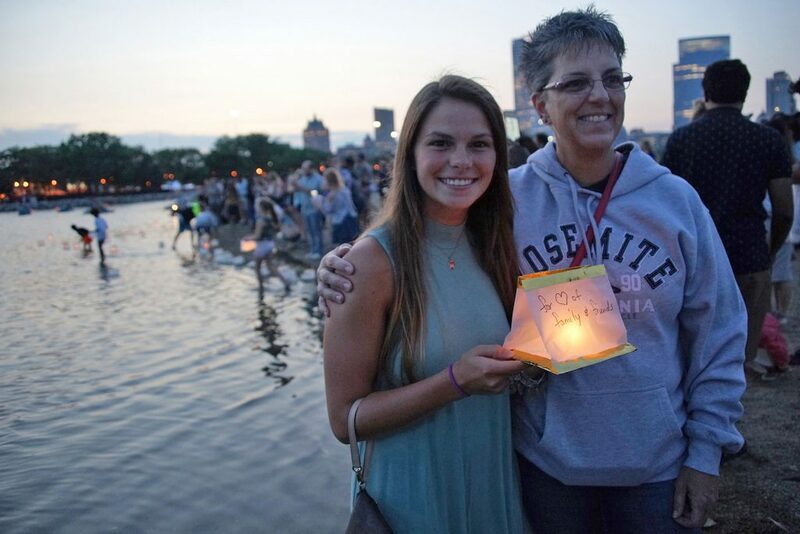 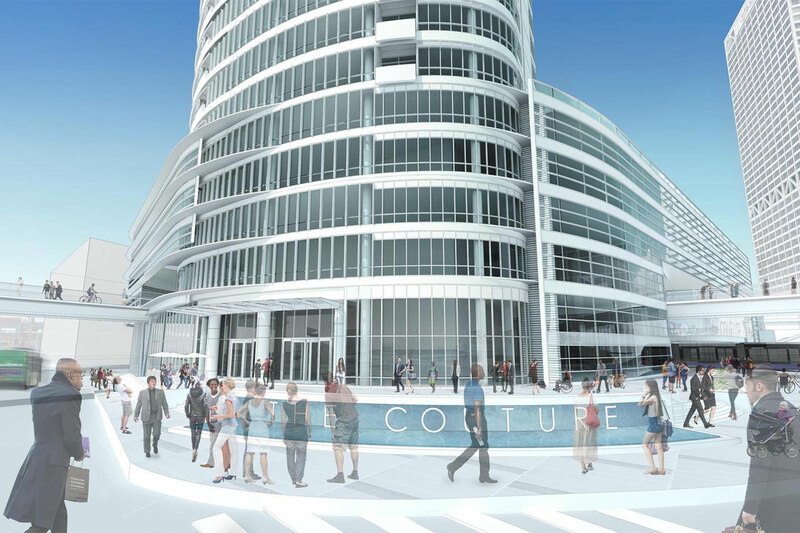 As an addition to the Milwaukee skyline, the Couture will be a catalytic part of the Lakefront Gateway Project. 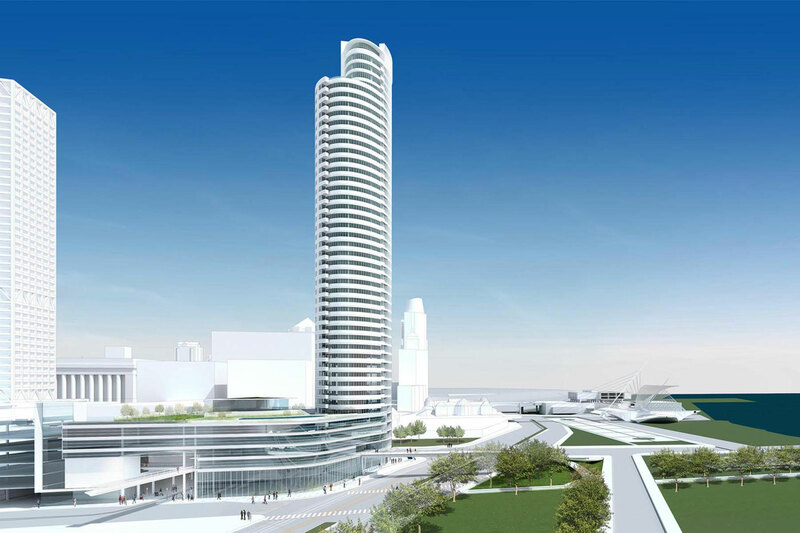 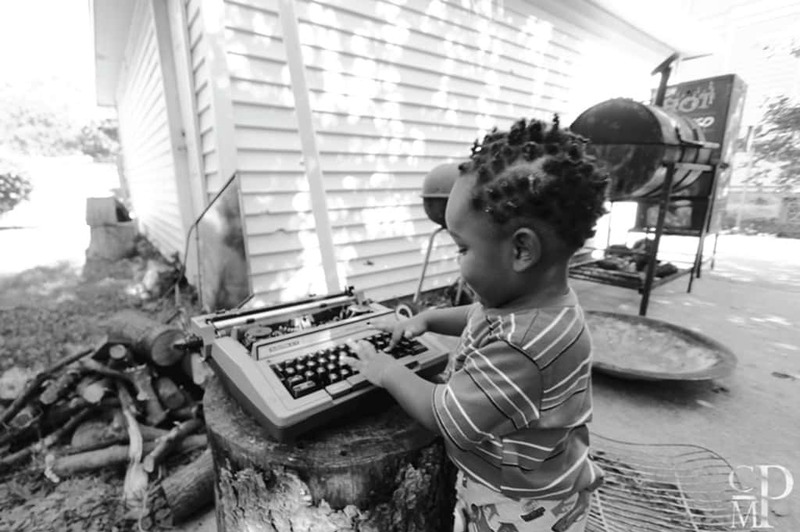 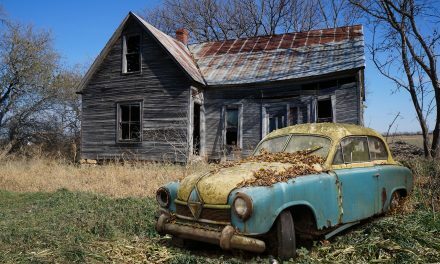 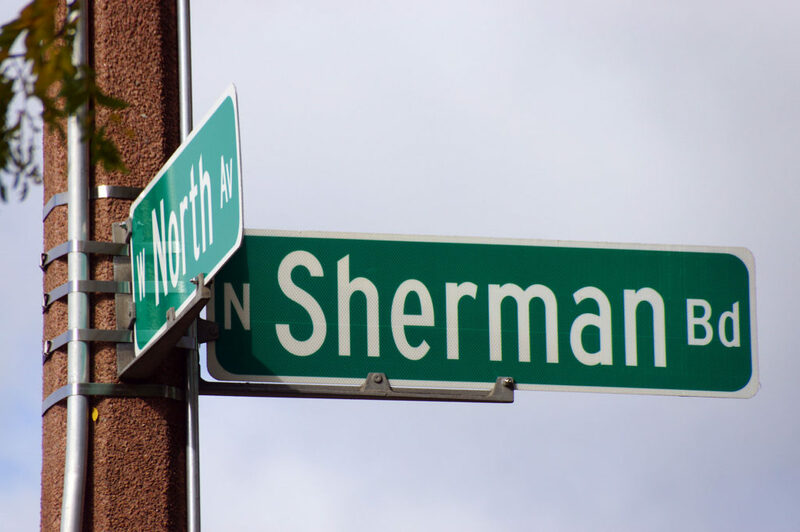 It will bring a new vibrancy to the area as a destination site and economic engine for the city.